At the beginning of 2014 I decided to begin a project where I reflect on something that I am grateful for every day. I was having a hard time maintaining a positive attitude and I felt that this project could really help me reflect and appreciate more in my life. I never really knew what kind of effect that doing something like this would have on my life, but it really helped me realize that in every day (even really crappy days) there is something to be grateful for, whether it’s a hot meal or good friends. I found something to appreciate every day in 2014. 2014 was the best year of my life. I have grown so much over the past year and I had the pleasure and opportunity to experience so many new things and travel to new places. During my first year of Peace Corps work and life moved very slowly for me and it wasn’t until 2014 that things really started to pick up. I felt more integrated into my community, hung out with more Albanians, and began to find meaningful extra projects outside of my primary assignment. I traveled to Japan, Croatia, Belgium, Washington D.C, Colorado, and Italy. I reunited with friends and family that I had not seen in over a year. I also met Quinn. Quinn is the most amazing and kind guy that I have ever been with. I am continually grateful to share this experience with him. January 11th: I am grateful for beautiful bike rides to the beach. I started biking around the villages surrounding my town to explore and get some exercise. This was a photo from the first long bike ride I went on. I biked for about an hour and a half to get to this spot and was completely in awe when I found this beautiful area. I remember sitting on this pier and contemplating about how amazing my life had become. January 14th: I am grateful for my wonderful neighbors. 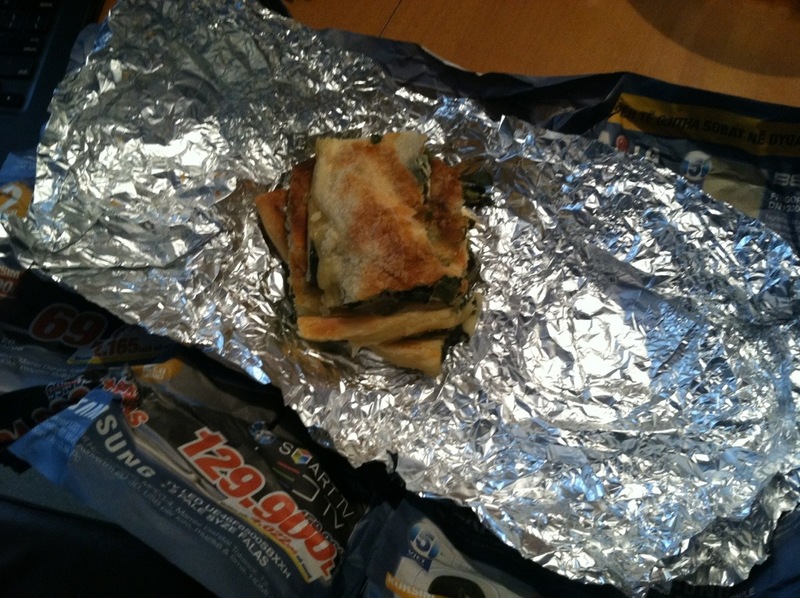 They gave me some homemade byrek for lunch and delivered it by tossing it in between our balconies. 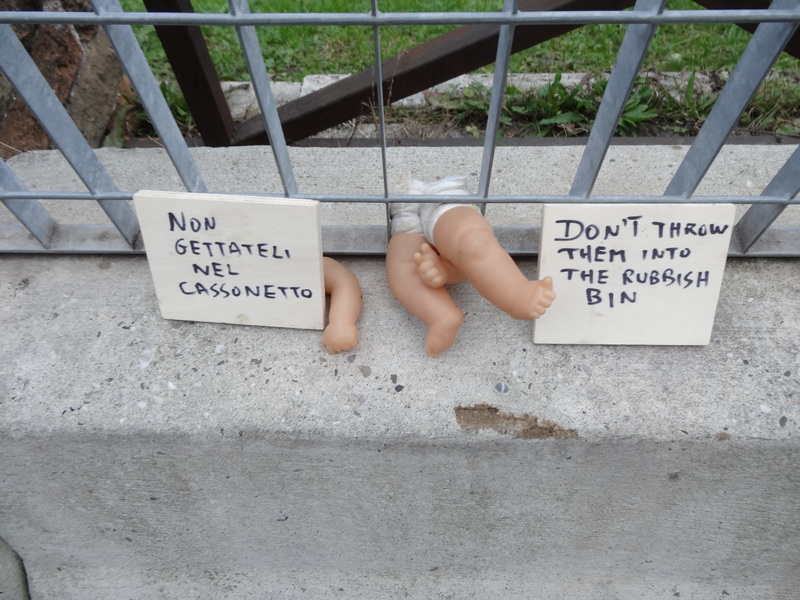 My neighbors always wanted me to help their daughter with improving her English skills. They paid me in delicious homemade byrek. I had a pretty good laugh when they were tossing me food like a football between our balconies, which are not part of the same apartment complex. February 18th: I am grateful for Irida. She is a leader in our new youth group and a sweetheart. Today she invited me and my site-mate over for homemade lunch. Te lumshin duart Irida! At this point in my service I just started the Outdoor Ambassadors group at the high school and it was completely new. Irida was one of the first students interested in taking part of the club. This was the first time that I was invited over to an Albanian’s house for lunch and she specifically made my favorite dish, fasule, because I had mentioned how much I loved it and how I couldn’t find it anywhere in town. It has been amazing to watch Irida grow over the past year and she is now one of the top contenders to go and study in the USA next year as part of the YES Program. February 22nd: i am grateful for our first youth group hike. This was the first time that we went on an excursion with the Outdoor Ambassadors students. It was such a new and fun day for all of us. It had rained the day prior and the pathway was extremely muddy. Right after this picture was taken the group got caught in the mud, trying to take a shortcut back into town. Luckily, we all helped each other get past the mud, but I can’t honestly say that my shoes have ever been quite as clean since. 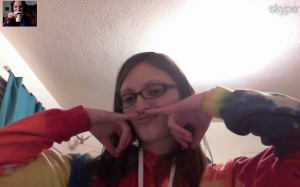 March 5th: I am grateful to Skype with my long-lost best friend. We haven’t been able to talk for almost a year because of schedule differences. It was nice to catch up and we can’t wait to catch up more. It can be hard to keep in contact with friends and family back home with the distance and the time difference. This was the first time that I was able to talk to Lane since joining the Peace Corps in March 2013. Keeping in contact with people back home is very important to me, even though it can be difficult at times. March 28th: I am grateful for evening coffees with my good friend Erin in Shkoder. 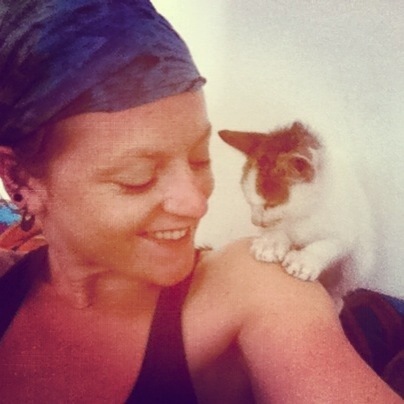 Erin has always been such a good friend to me throughout Peace Corps. We don’t get to see each other as often as I’d like because we live in different regions of the country, but occasionally we are able to get together and it’s always a blast. This picture does not do that sunset justice, but it was absolutely beautiful. Erin and I were enjoying coffee together before having dinner with a bunch of Italians who are also living in Shkoder working with families in Northern Albania regarding blood feuds. April 8th: I am grateful for late night showings of How I Met Your Mother with Quinn. Quinn visited me and my old site-mate during his volunteer visit while he was in training. While he was visiting I was in the middle of marathoning How I Met Your Mother, so we spent our evenings watching HIMYM together in my apartment. It was nice to kick back, relax, and get to know Quinn. April 17th: I am grateful for my host family. The children in my host family are absolutely adorable. I always loved hanging out with all of them. I went for a short day visit to see the family that took care of me during pre-service training before giving a presentation to the new trainees. This was such a nice day because I was able to have a coffee (and a real conversation because my Shqip skills had improved greatly) with my host family. 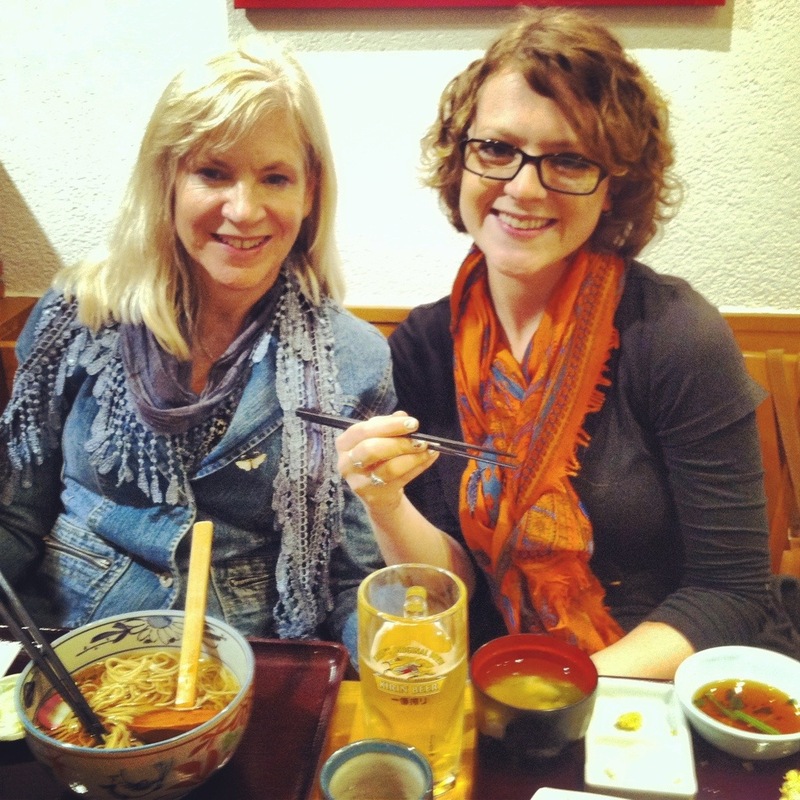 April 20th: I am grateful to reunite with my mom in Japan after a year of not seeing each other. This was the first time that I was able to see my mom in person since starting my Peace Corps service. My step-dad had a work meeting in Tokyo and agreed to fly me out there to be part of the trip. It was amazing to experience a completely different part of the world while hanging out with my family, who I had not seen in such a long time. I had such a fun time shopping and exploring the city with my mom. Plus, all the Japanese food was to die for! 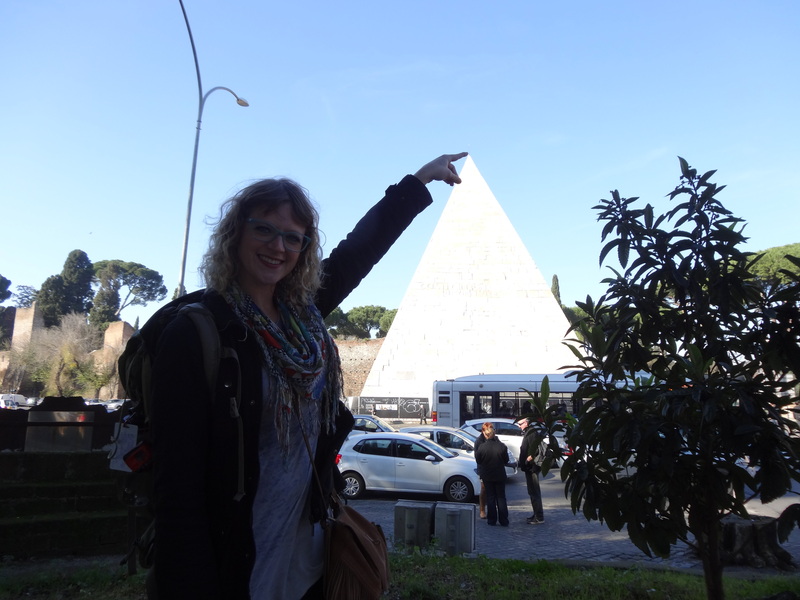 May 10th: I am grateful that I finally had the opportunity to climb to the top of the pyramid. 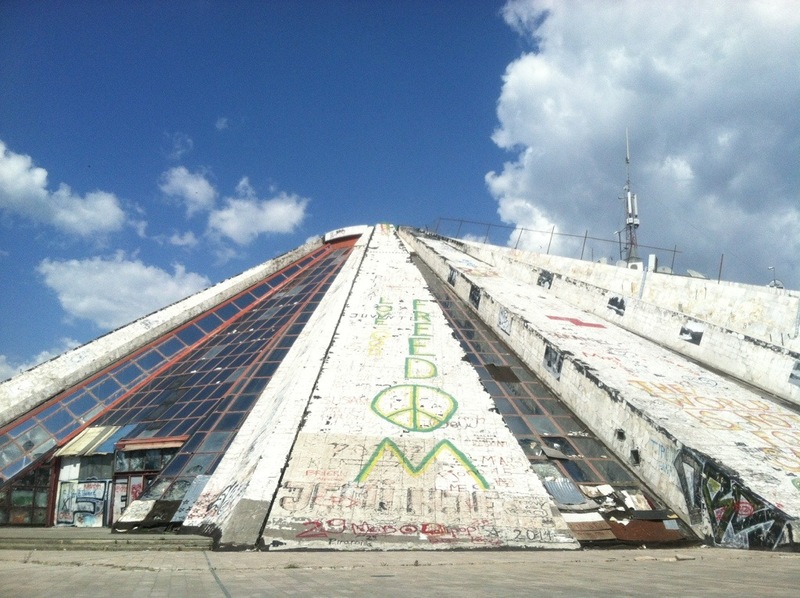 Basically if a Peace Corps volunteer in Albania does not climb to the top of the pyramid in Tirana before the end of their service then it’s a crime. On this day I was helping give a “Tirana Tour” to the trainees in the new group. As part of the tour we walked around the entire city, had lunch at a Mexican restaurant, and climbed to the top of the pyramid. 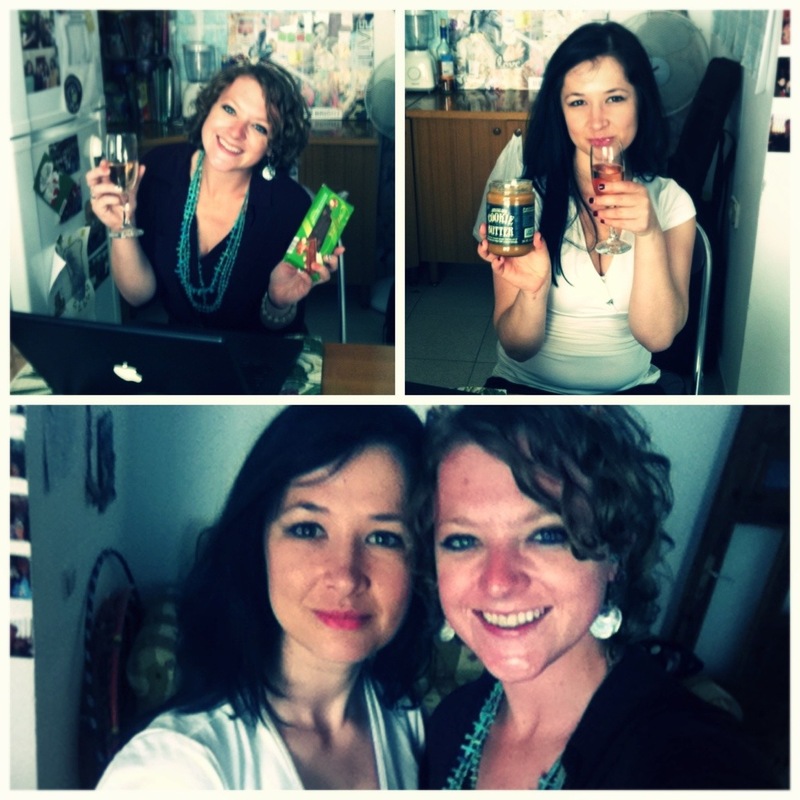 May 20th: I am grateful that Entela and I are spending the afternoon planning GLOW. This was a fun afternoon for me and Entela, one of my best Albanian friends (and now counterpart). Entela and I met through another previous Peace Corps volunteer who was her teacher at university. We became close friends and I asked her to be my counterpart to help run the GLOW: Girls Leading Our World summer day-camp in my community. That afternoon we made lesson plans, started compiling a GLOW manual, drank wine, and ate American goodies (cookie butter). It was lots of fun. 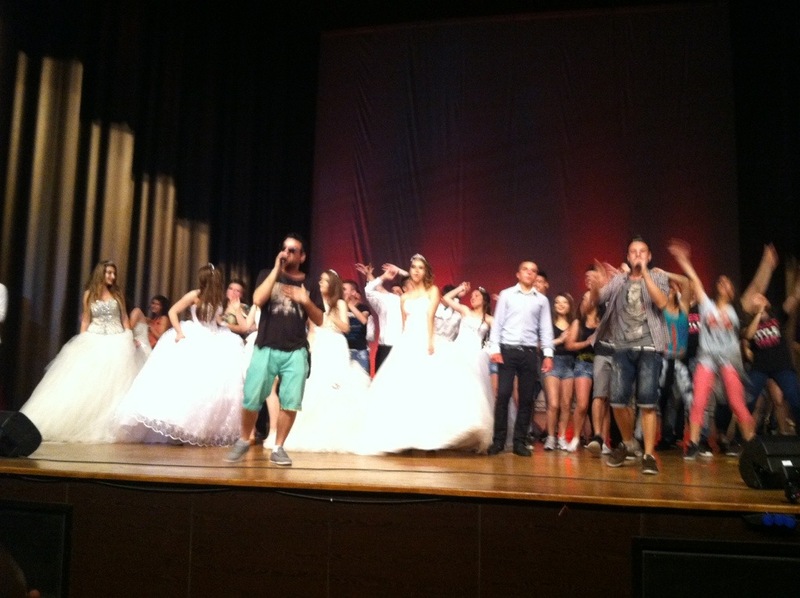 June 4th: I am grateful for the crazy high school beauty pageant I attended tonight. It gave me a good laugh. Is this real life? June 12th: I am grateful for afternoon beers from Brauhaus on the beach with my site-mate. 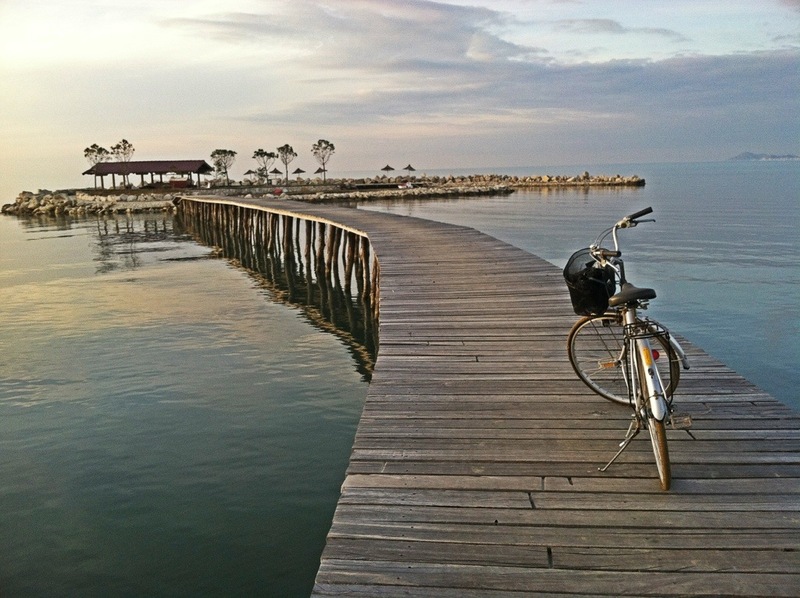 It ended up working out that Peace Corps sent another volunteer to my city who also enjoyed biking and drinking. Chuck and I would go to the beach together often when the weather was nicer to have a few brews. I especially enjoyed coming to this spot because they served Brauhaus beer from a micro-brewing restaurant in Tirana. June 24th: I am grateful to teach yoga at GLOW camp. I love yoga. And I love teaching yoga. I was not able to teach yoga since a summer camp in 2013 and I was really excited about the opportunity to show some of my girls at camp how amazing of a stress release yoga can be. I prepared flows and music that I thought would be appropriate. They learned the moves and were extremely attentive during the first class. June 28th: I am grateful for this cutie. Think I’m gonna keep it. I had a cat for a little while in 2014. I found Spec on the road near my house and noticed immediately how he was more friendly than other street cats I had met. I also noticed how he was a little baby and I really wanted to take care of him. He was one of the best cats I have ever had, but sadly I did not keep him because he was too big of a responsibility for me. I was traveling too much over the summer to really properly take care of him. I miss snuggling with Spec and having him to come home to. Luckily, another volunteer agreed to take care of him for me. July 2nd: I am grateful for Kampi pa Emer. 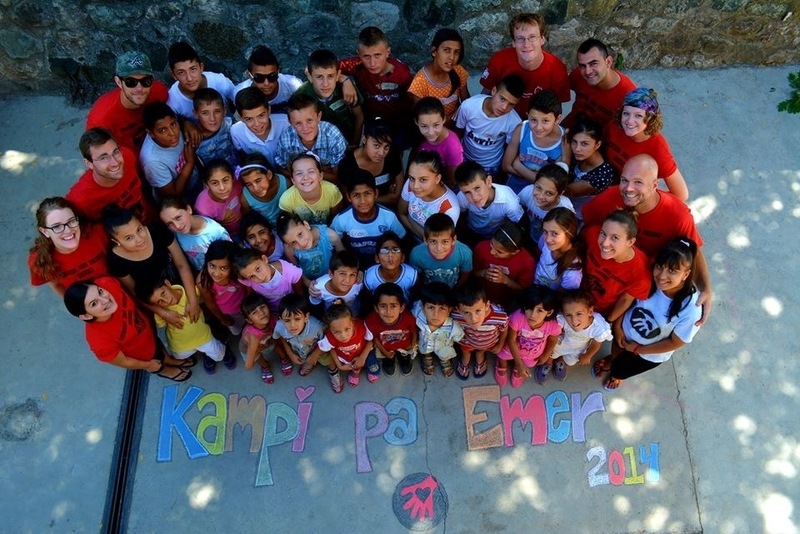 Kampi pa Emer was a camp coordinated by a Returned Peace Corps volunteer and his Albanian wife. They come back to Librazhd every year to hold this camp. 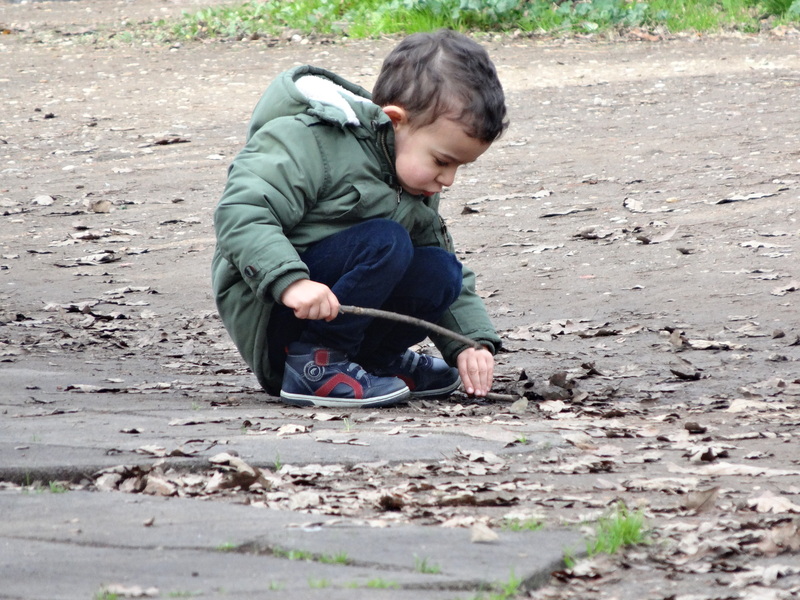 The aim is to help integrate Roma and Albanian children through shared activities and games. This was such a fun camp to work at because it was with younger cuties. I taught hoop dance and GLOW. The GLOW lesson was led entirely in Shqip, and I was pretty proud of myself for that. July 8th: I am grateful a friend from America is visiting Albania. My friend Bryan visited me in Albania before we went together to a music festival in Croatia. 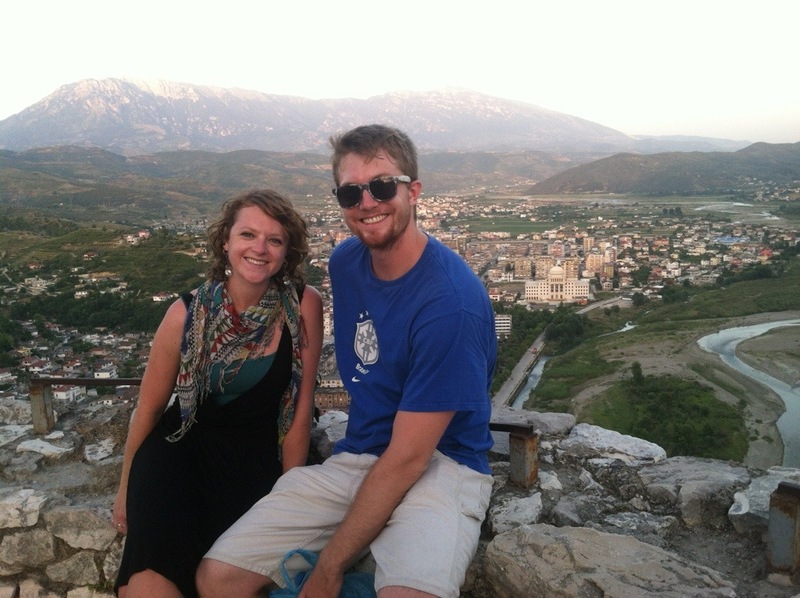 Bryan is the only friend (or family member, for that matter) that has visited me in Albania. Hint hint everyone. July 11th: I am grateful for epic selfies and night 1 of Ultra Music Fest. I saved up a bunch of vacation time working during my first year of Peace Corps. 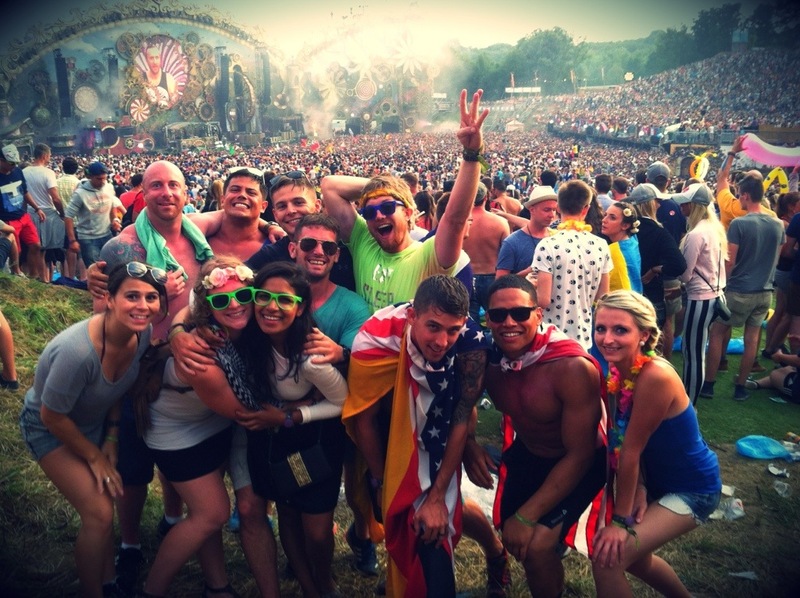 I took some time off over the summer to go to some big name music festivals in Europe. I always loved live music, especially electronic music, so I was extremely excited to go to a real concert again. It was also a lot of fun to hang around Croatia in summer. It’s true; the beaches are spectacular. July 27th: I am grateful for an amazing last night of the best festival of my life. Thank you Tomorrowland. Hope to come back someday! Tomorrowland was an epic festival. There were so many famous electronic musicians there and over 100,000 people from across the world. I met people from all continents. It was quite the experience and I don’t think any festival will ever top how awesome that experience was. August 11th: I am grateful to finally commence the summer camp I’ve been planning for the past 9 months. 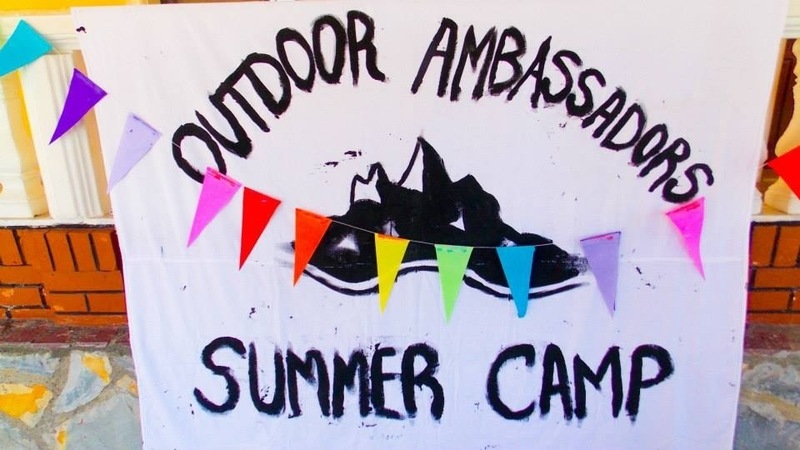 I spent the majority of the summer coordinating all the details for the Outdoor Ambassadors summer camp. It was a lot of work and there were times that I wanted to gauge my eyes out. The camp ended up being quite the success and it was worth all the blood, sweat, and tears. Thankfully I had a lot of other amazing volunteers to help make sure the entire event went off. September 7th: I am grateful to live in such a beautiful country and to partake in such a gorgeous hike to the northern blue eye. Hiking in Thethi/Valbona was always at the top of my Albania to-do list. My friends and I finally planned the trip up and it was everything I could have imagined. It was beyond beautiful and it was actually my first experience backpacking. Back in Colorado I hiked a few 14ers, but never with a pack. It was fun to hike, camp, and then hike some more. 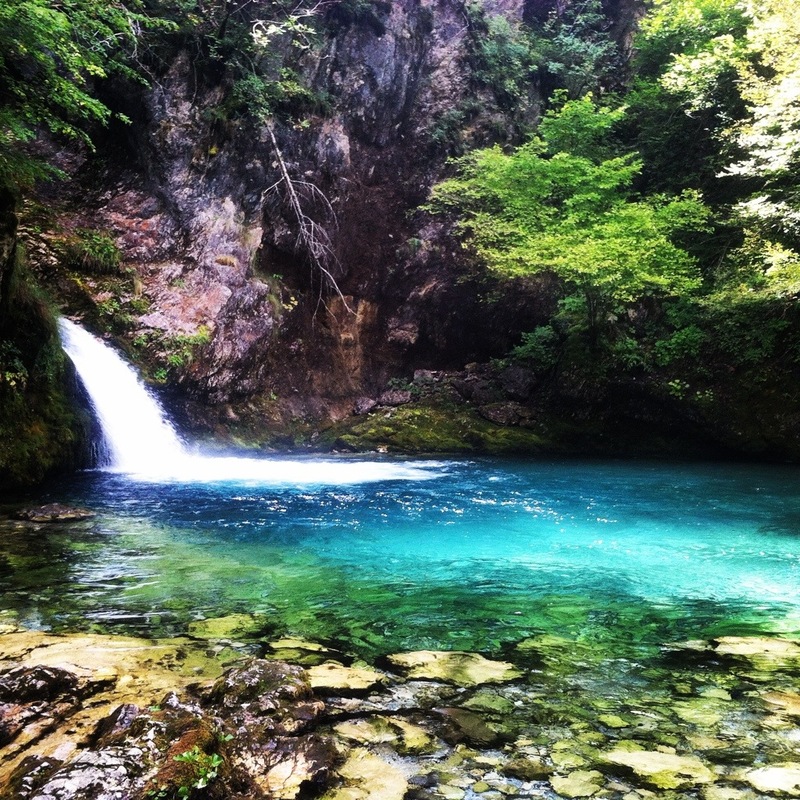 Northern Albania is absolutely gorgeous and I may even try to do this hike again before I head back to America for good. 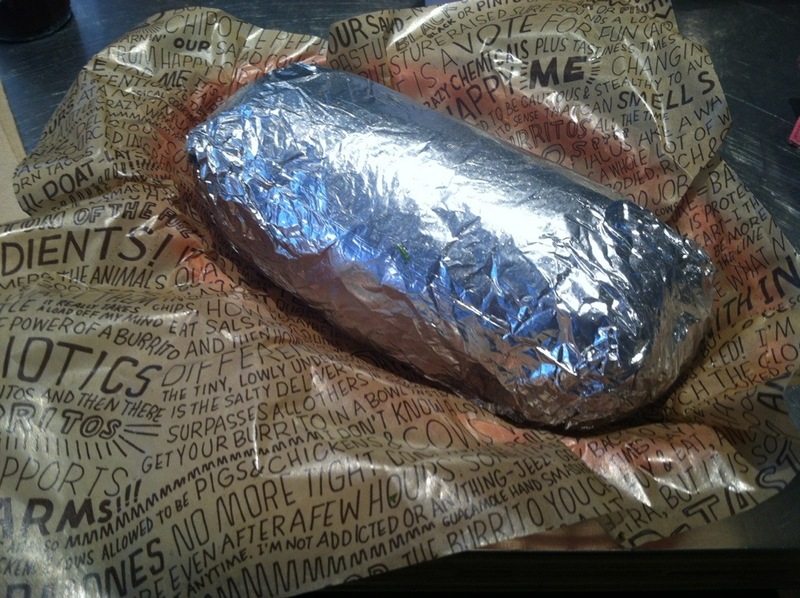 September 15th: I am grateful to be in Washington DC for the Blog It Home competition and for my first Chipotle burrito in over a year. I was honored by Peace Corps and chosen as one of the winners of the national blog competition. During my entire flight back to America I dreamed of American cuisine, specifically Chipotle. After my extremely long flight, almost 24 hours to be exact with layovers, I finally made it to the hotel in DC. Immediately I convinced my roommate that we must get Chipotle burritos NOW. That burrito was so delicious. I miss Chipotle and guacamole. 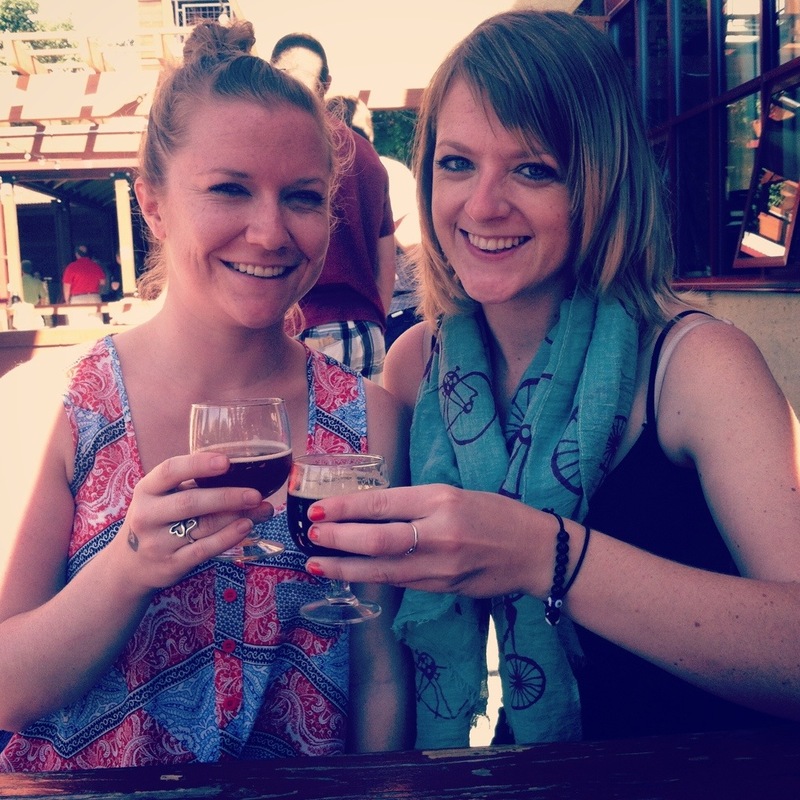 September 24th: I am grateful for a day in the breweries in foco with my friends. Since Peace Corps flew me back to America I decided to take advantage of my geographical location and head back home for a few days to visit friends and family. I wish that I would have stayed a bit longer in Colorado because a week really wasn’t long enough to catch up with everyone. 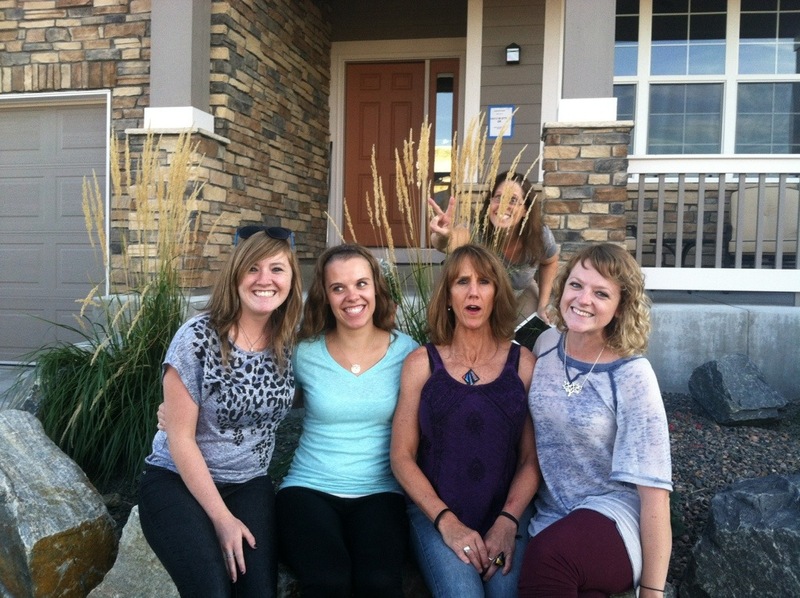 I was able to travel back up to my college town of Fort Collins and reminisce with some of my social work buddies. We also went to the breweries, one of my favorite past times, to have a few good beers. September 27th: I am grateful for family. My family is so important to me and I really wanted to see everyone while I was home. I miss spending holidays with everyone and being able to catch up on the phone anytime. It was truly wonderful to see everyone again. 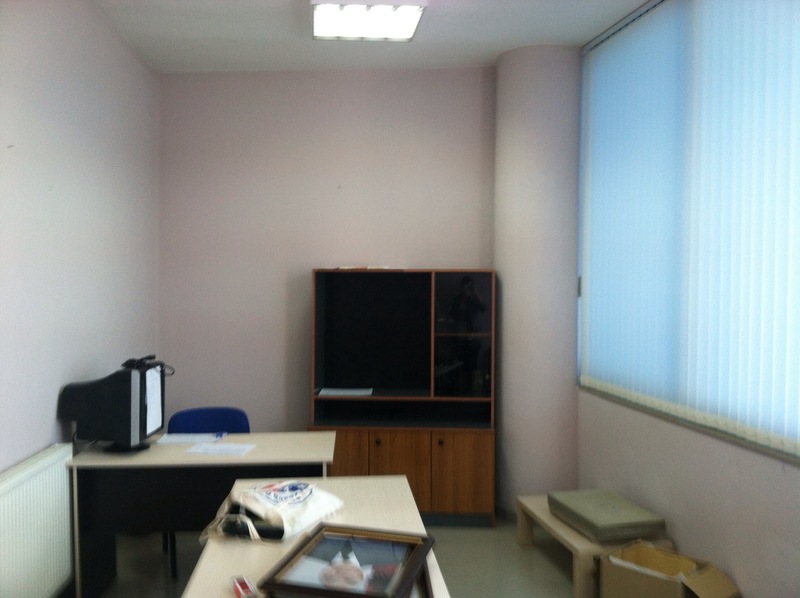 October 23rd: I am grateful that the municipality has agreed to give us a room to start the youth center! This was the first time I was able to check out the room that would become the future youth center of Kavaje. Having Chuck at the municipality finally gave us the in to make my dream of a youth center a reality. 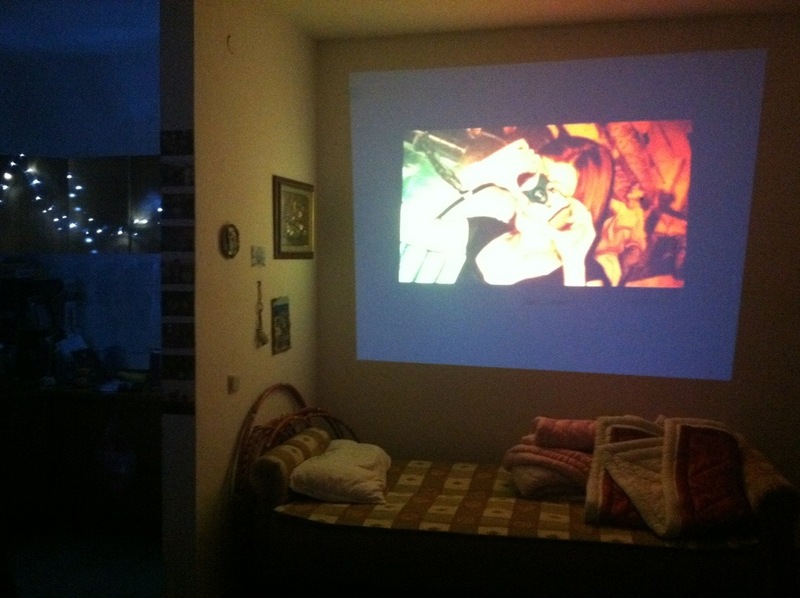 It’s crazy for me to see this picture now because this room has been completely transformed. I actually just came back from a meeting at the youth center. The room is fully functioning with internet, the necessary essentials, and a lot of the art materials that friends and family sent me. We have four different groups meeting their weekly with activities almost daily. I will update you more on the youth center later! 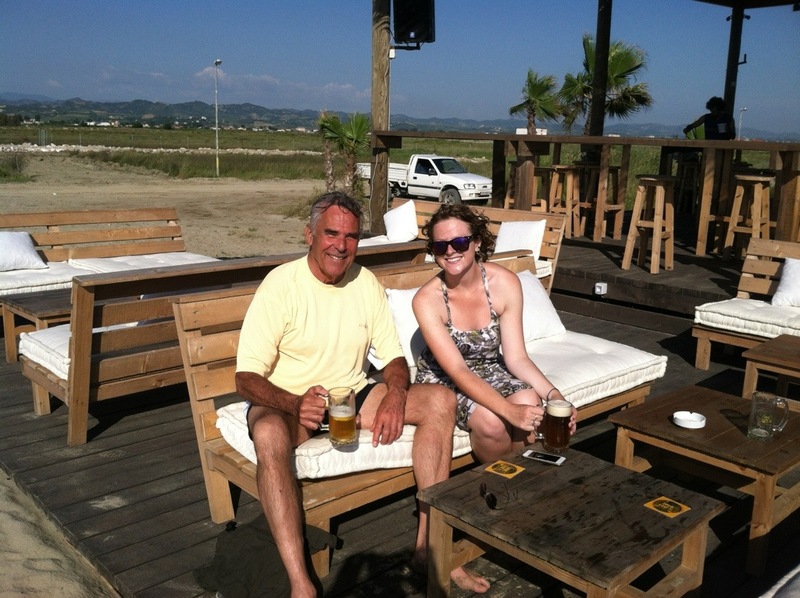 October 27: I am grateful to run into one of my OA students on the road just in time for a bike ride to the beach. This was a fun bike ride to the beach. 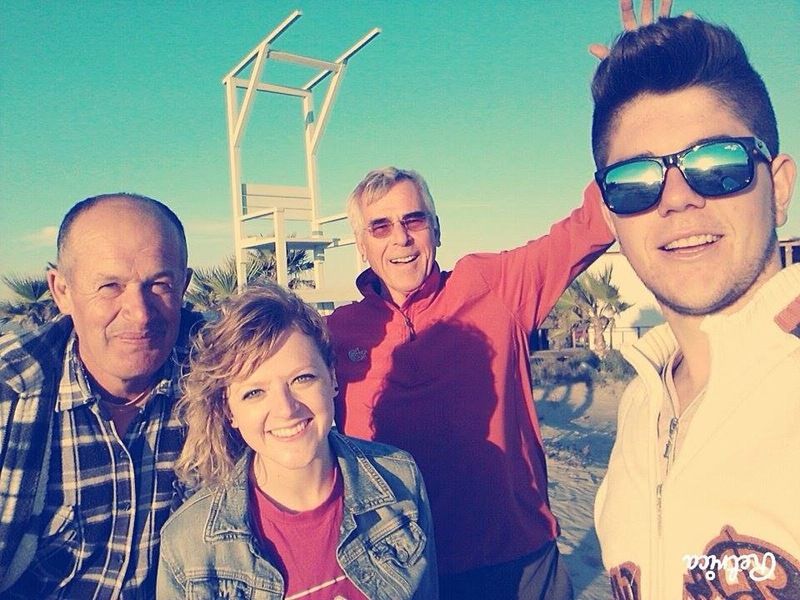 We ran into one of my students on the road and asked him to join us to the beach. The man on the left ended up giving me and Chuck handmade raki (Albanian moonshine) and some other traditional food. Just because. It was nice to be treated for absolutely no reason at all. 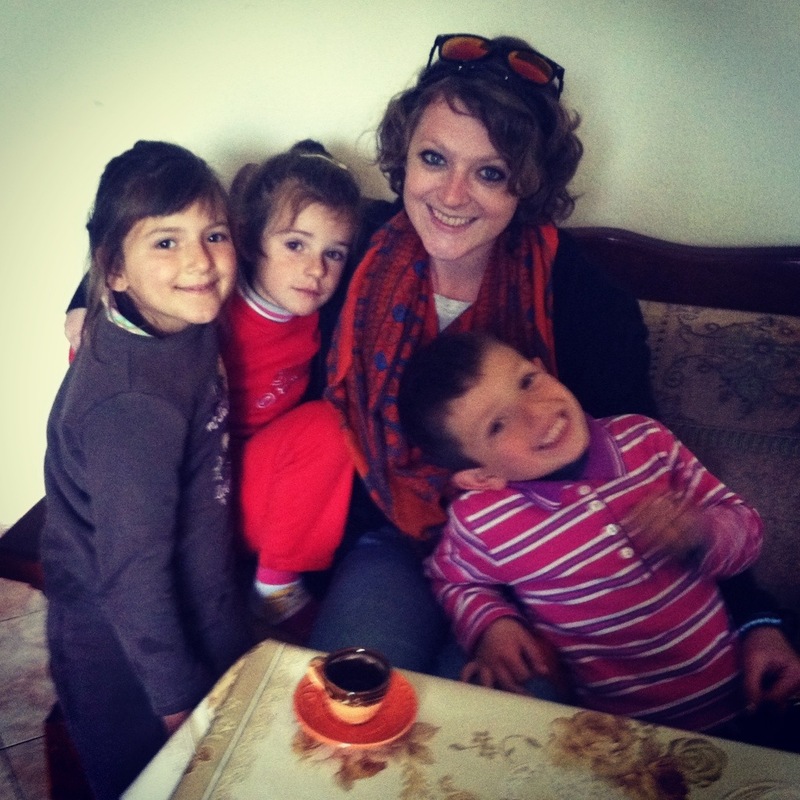 I cannot tell you enough times how much I love, and appreciate, Albanian hospitality. November 7th: I am grateful for these crazy kids. They are not only my OA students, but my friends. I love them all so much. Can you tell that biking to the beach has become a theme in my service? This was the first time that we biked to the beach together as a group. It was absolutely pouring rain that day and I was shocked that any of the students actually showed up in the first place. Since they showed up I was ready, and willing, to go on the adventure. Most of the students had never even seen the areas of town that we were biking around and they mentioned that I know our city better than they do. November 15th: I am grateful for a nice dinner with good friends. Sometimes volunteers get together and enjoy delicious meals together. This is always a nice contrast from my usual daily dinner alone. It can get boring, and tedious, to continually cook nice meals alone. November 23rd: I am grateful for my new tattoo. I got another Albanian tattoo to commemorate my service thus far. This time I got the word “avash” tattooed on my left wrist. It’s funny because avash is actually a Turkish word, but it is used so common here in Albania. Avash avash is a phrase that means slowly slowly and it is representative of life and of many situations here in country. I always try to remind myself avash when something is frustrating me. I also want to be reminded of how working quickly is not always necessarily the best way to get things done. 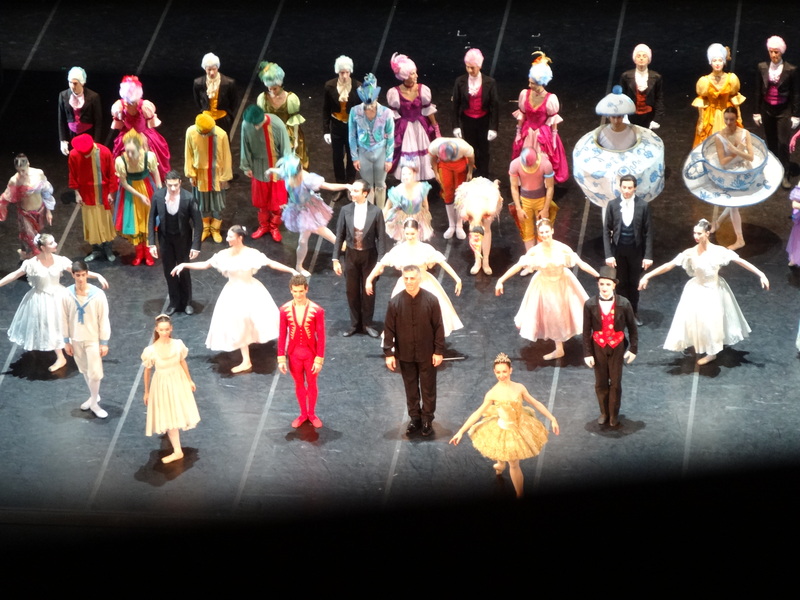 December 24th: I am grateful to hear part of the Pope’s Xmas Eve mass and the ballet. I tried not to include too many posts about Quinn and how grateful I have been to have him in my life. His fresh perspective and caring personality has helped me so much throughout the past year. He has been the main person that has been there to listen to me complain, to share in my successes, and to spend time with. 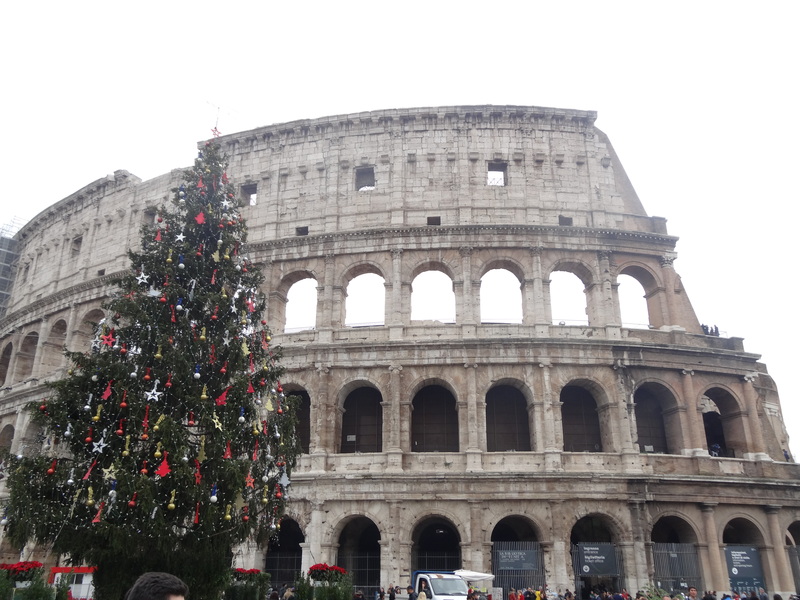 To celebrate Christmas and New Years we went on a vacation together to Rome, Florence, and Venice. It was a blast and probably the best vacation that I have ever been on (probably because he is the best company that I could ever ask for). We spent the morning of Christmas Eve at the ballet watching the Nutcracker, which is one of my childhood favorites. Then we ventured out at night to hear the Pope give mass. January 1st: I am grateful for new beginnings and the new year. I am grateful that I finished my 365 Grateful Project. Back in Albania again and happy to begin 2015. The grateful project truly taught me a lot about myself and about how perspective changes everything. I am proud of myself for actually sticking to a New Years goal for the entire year. How often does something like that actually happen?! It was a nice ride. I can’t wait for all the things I have to be grateful for in 2015. It is already turning out to be a very special year. Life is so beautiful. New Years is a big holiday in Albania. Everyone celebrates it. Many people decorate fake trees and give the children presents to rejoice the New Year. 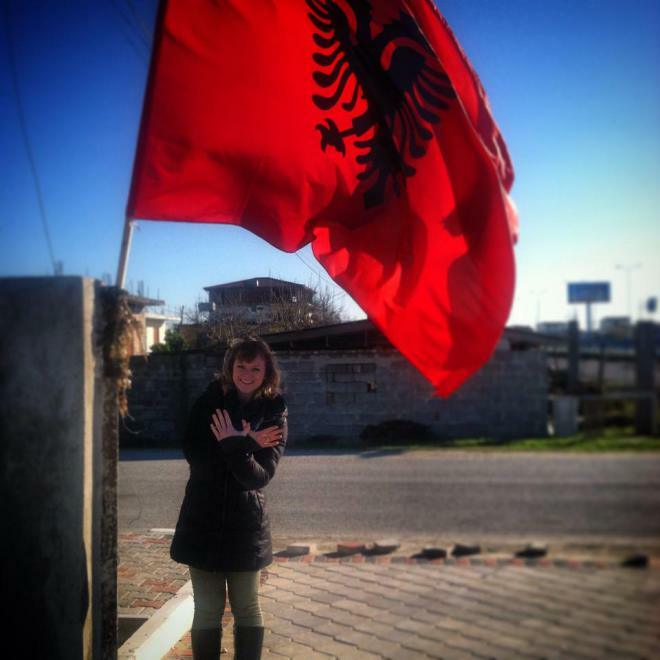 Last year I celebrated New Years in Kosovo, Albania’s closest neighbor that is primarily ethnically Albanian. This year I wanted to celebrate in my country because the end of my service is coming up in four months and I want to soak up as much Albanian culture as I can before I head back to the states. Like I’ve mentioned before, most Albanians celebrate New Years with their family. They cook a special meal, usually consisting of turkey and other delicacies, and sit down to a long dinner with their families. My counterpart told me that she was cooking New Years dinner from 8 o’clock in the morning until 8 o’clock at night. After the long day of cooking she was so exhausted that she didn’t even stay up for the midnight celebrations. 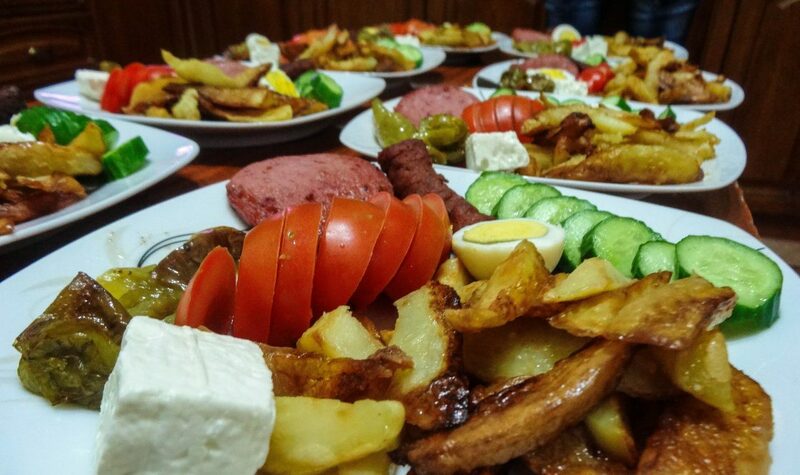 Albanian women are excellent cooks; I wish that I could cook half as well as them. Many people tell me I will never get married if I don’t learn to cook a proper meal for my man. Obobo. Along with the meal, the family will usually drink wine and the men drink raki as well. Children, only children, are given presents of toys and dolls. Fireworks went on sale about a month ago in my city and since they began selling the fireworks all I have heard most of the day and night is the loud bang that comes with fireworks. A lot of the fireworks that people buy here are just noisemakers. I honestly don’t understand the point of buying fireworks that don’t even look pretty because I find noisemakers ridiculously annoying. A lot of volunteers here like to play the game: firework or gunshot? So often during the end of the year, we hear loud noises that sound like guns, but they are probably fireworks. Anyways, there is no enforced age limit for who can buy fireworks, so I usually see boys younger than 10 lighting off fireworks haphazardly in the street, sometimes even lighting the fireworks and throwing them into crowds of people or random pedestrians on the street. It can be a dangerous time walking around on the streets with all the fireworks in the hands of young troublemaker boys. 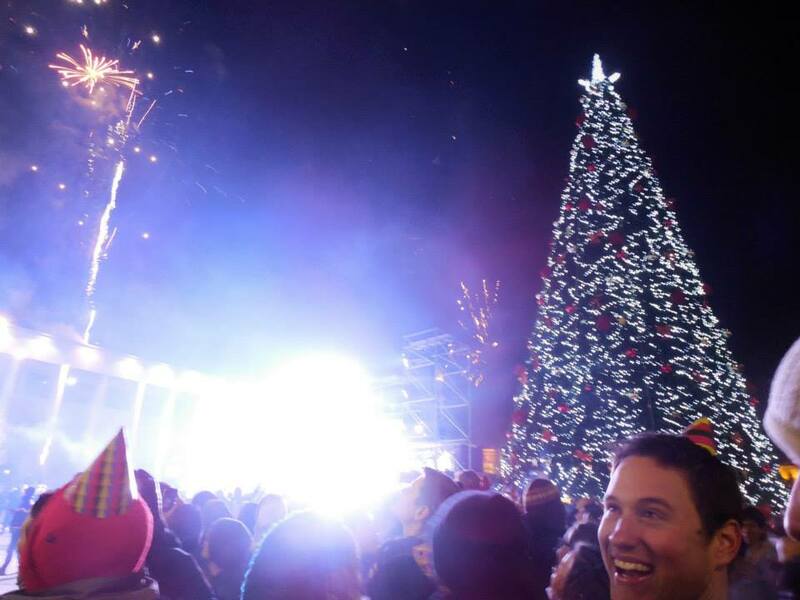 Then at midnight Albanians hit the streets to set off fireworks and go clubbing until the early hours of the day. Let me just tell you that the midnight celebration in Tirana was chaotic. It was one of the most craziest (and probably most dangerous) things that I have been involved with as a Peace Corps volunteer here. 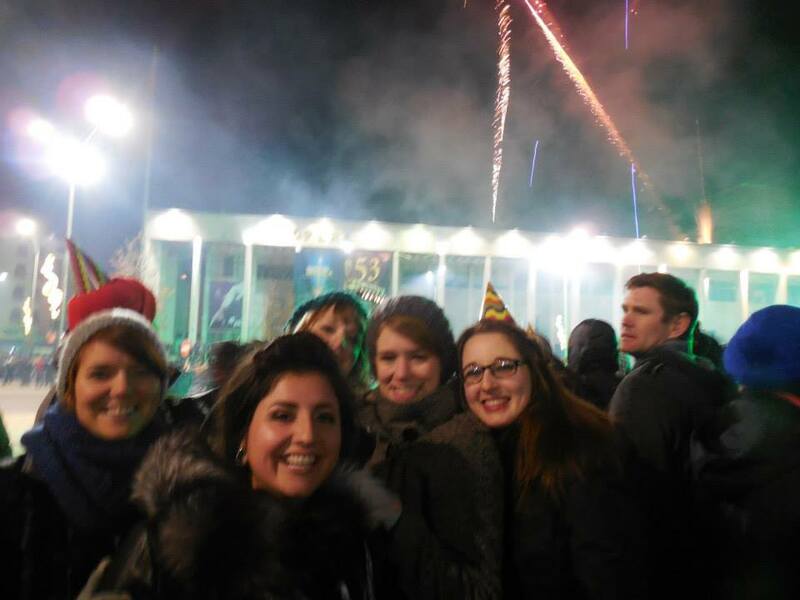 The epitome of this chaos was in the center square in Tirana on New Years Eve. 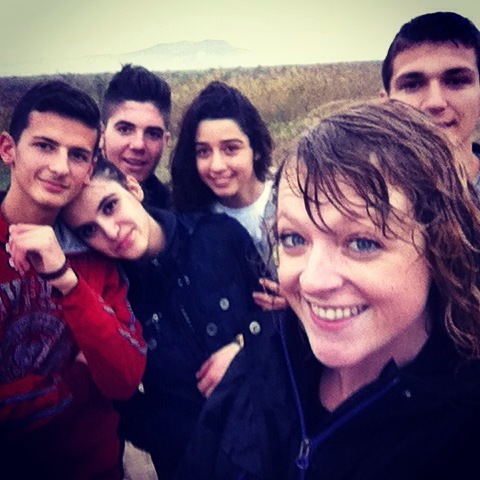 A group of volunteers decided we would spend the holiday together in Tirana. 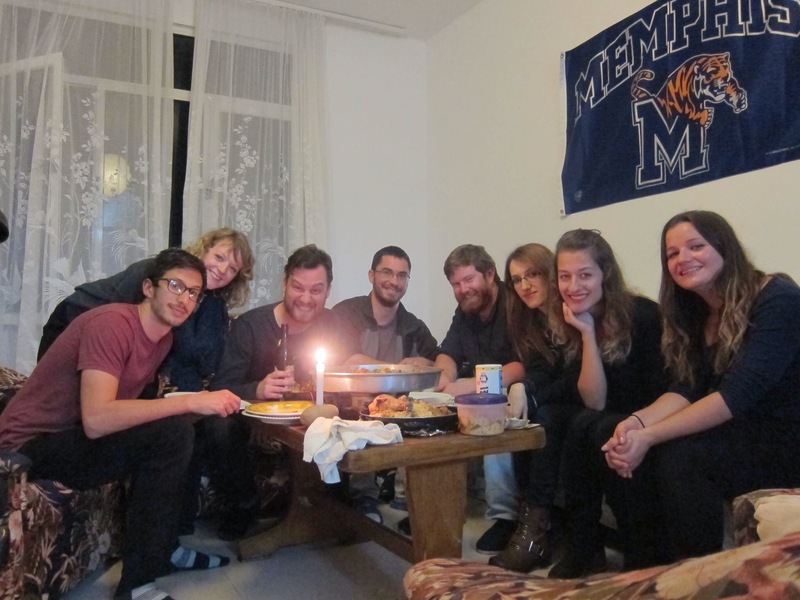 We made plans to go to the square at midnight and then go out clubbing after – the real Albanian experience (besides a nice home-cooked meal, which would have been nice). Somehow we managed to get caught up right in the center of all the fireworks. Hundreds of people were lighting off fireworks all in one small little area. I am honestly surprised that more people do not get hurt during these demonstrations. That being said, it was exciting and fun; luckily I still have my hearing. The city also did a firework demonstration at midnight and it was honestly pretty impressive. I enjoyed watching the city fireworks, along with all the random fireworks literally ten feet away from where I was standing. It was quite the experience. After the firework show we went to a small bar and danced the night away. 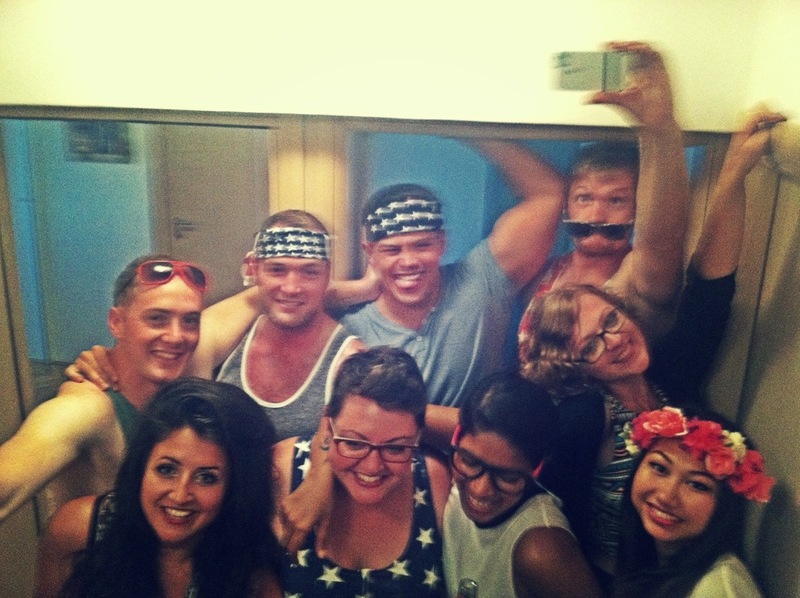 It was a good time and we definitely brought the American dance party to the bar. Second goal, right? Overall, New Years was everything that I could ask for. I got to spend the evening with my boyfriend and all my best friends in Peace Corps. Gezuar Viten e Ri! Just a small portion of the group that evening. So let me start off saying that this blog post is not to try and illicit feelings of sympathy from all my readers, it is merely to explain my battle with the winter chill here in Albania. I am from Colorado; it is cold in Colorado. We receive tons of snow each season and currently (according to my father) there is several feet of snow on the ground back home. Sometimes I feel like a real wimp saying that Albanian winters are more difficult to endure since I come from a state with below freezing temperatures. I honestly don’t know how the Albanians do it; they are so strong and resilient. I can barely ride my bike outside without whimpering about how cold I am. This is usually one of the first things that I talk about with my coworkers, students, and fellow volunteers: the extreme cold. Winter is rough. When looking at the actual numbers, Albania does not seem that cold. We have been hovering in around 40-50 degrees Fahrenheit. That is nothing in comparison to the Colorado cold, but back home I could escape the cold. I would shovel off the snow from my car and wait a few minutes for it to warm up, but it eventually warmed up. I would head from my warm car to my warm apartment. The cold wasn’t so bad. I could watch the beautiful snowflakes fall from the comfort of my cozy home. Here it’s different. There is a constant cold that is trapped inside this concrete ice-block communist style architecture. Central heating? Please. I have my space heater and that only really heats a small area of space directly surrounding the heater. I am basically stuck in my bedroom for the rest of winter because that is the only room in my house that the space heater can almost adequately heat. Breakfast in bed, anyone? Last winter I wanted to be badass suffer and decided that I would rarely use my heater. This year that isn’t an option. If I didn’t use my heater I would probably die from hypothermia. I am joking, but sometimes it seriously feels like that. Thank goodness I have a sleeping bag. I tried sleeping without a sleeping bag for a few nights and then deemed myself partially insane because I didn’t bust it out earlier. My sleeping bag and my space heater are my new best friends. Outside of my apartment is actually warmer than inside. If I want to escape the cold I just head out to a local coffee bar, my workplace, or the newly renovated youth center. All of those places have heat and it’s a bonus that I don’t have to pay for the heating on my tiny volunteer budget. Plus, I can sip on a coffee with friends or work on the Internet while I’m out. Most of the coffee shops in town have begun to get wireless Internet, so that is really exciting for me because it gives me something to do when I go out for a coffee alone. It is now that time of the year where I live inside several layers of clothing at all times. Who needs to worry about fashion when you can just wear a giant puffy coat over everything?! Pretty much every inch of my body is constantly covered until I crawl into my sleeping bag at night. I now wear this ugly sweater that I bought at the second-hand market at all times inside my home because it is one of the warmest items of clothing that I own. I would wear it outside more, but my counterpart told me that she would not allow me to wear it in the office (it’s that ugly). 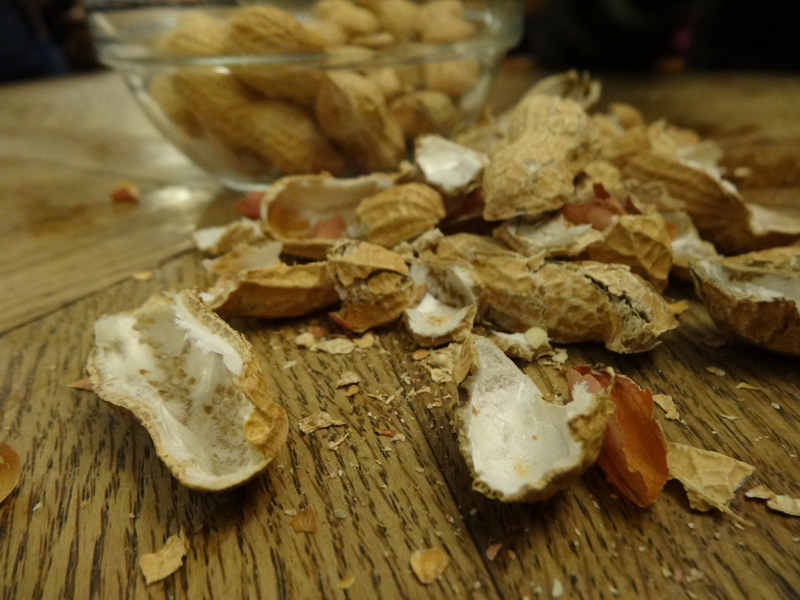 Basically this blog is to just discuss how cold I feel. Sometimes I never warm up throughout the day; my feet are perpetually frozen. I am in awe of how Albanians deal with the cold with such grace. Most of my students sit inside a classroom all day (that is just as cold as my apartment) with no heat. They don’t complain. It feels like such a privileged thing for me to complain about – not having central heating. In reality though, this is a major difference, for me personally, when it comes to experiencing seasonal changes here in country in comparison to my life in America. The infrastructure of many buildings here is poorly planned and doesn’t allow for adequate heating/cooling during different times of the year. Luckily I do not live in one of the colder, mountainous regions of Albania; some of the other volunteers have broken/frozen pipes and cannot leave their city because the roads are iced over with snow. Things that you wouldn’t even know could freeze… well they can, indeed, freeze. I have heard about shampoo, toothpaste, honey, and oil all freezing inside volunteer’s apartments. One volunteer mentioned that she is now keeping things inside of her refrigerator because that is the warmest place inside her home. Most of those volunteers can find respite with their wood stoves though, a luxury that sadly many are not privy to in central Albania. Who needs a refrigerator when the house is just as cold?! 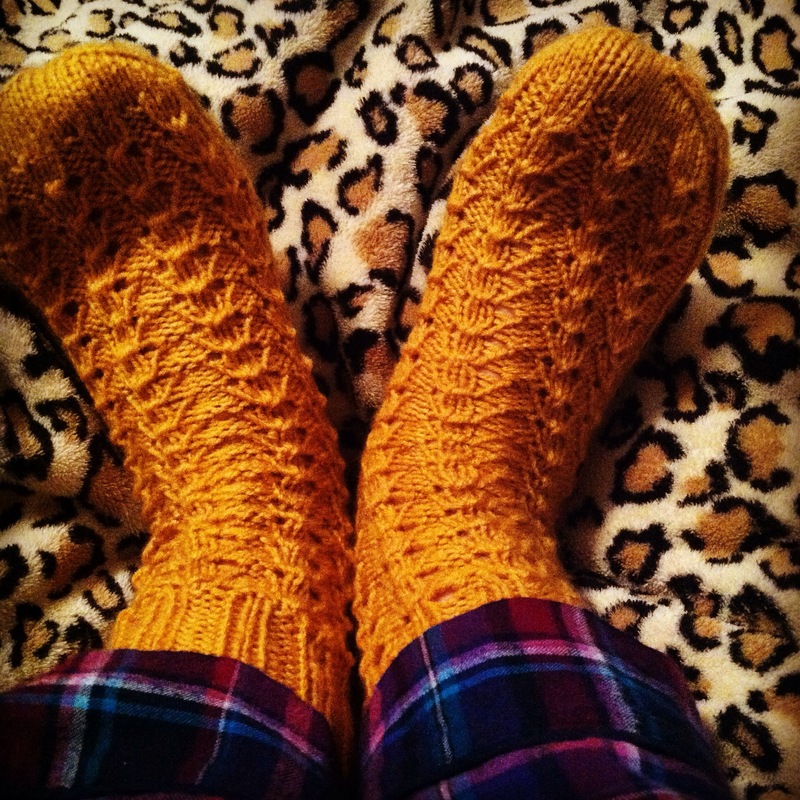 My friend’s mom knitted me this wonderful socks to help keep me warm this winter. Working for Peace Corps is pretty awesome because every month that we work in country we accrue annual leave time to take vacation outside of our host country. This year for the holidays, my boyfriend, Quinn, and I decided that we would visit one of Albania’s closest neighbors – Italy. 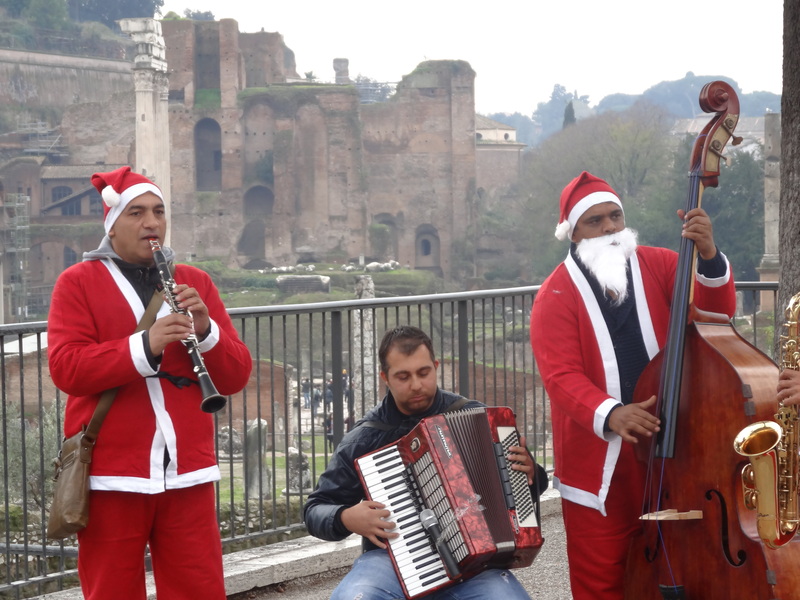 We heard that Italy is beautiful during Christmas and wanted to experience some of the holiday cheer for ourselves. 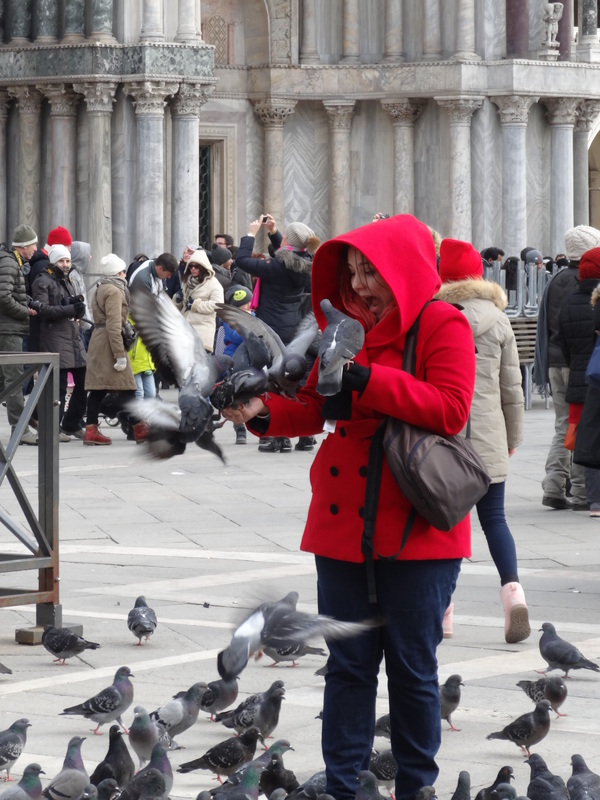 During our nine-day trip we visited Rome, Florence, and Venice. We stayed in Airbnb apartment shares to save money on hotels and overall it was a pretty good experience. It was such an amazing trip and it was nice to take a break during the holiday season because basically everything slows down in Albania in the winter. We started our holidays flying into Rome from Albania. The flight was a little over the hour, so it was nice and short. Quinn and I joked that it actually took us less flight time to get to Italy than it normally takes for us to travel to each other’s cities for a visit. 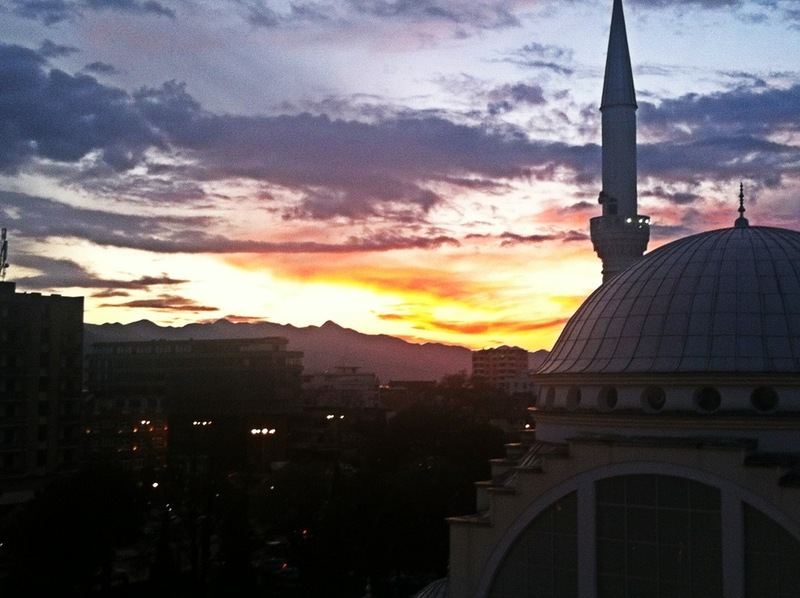 Unfortunately our flight was delayed at the Tirana airport for over two hours, so we arrived in the city pretty late. 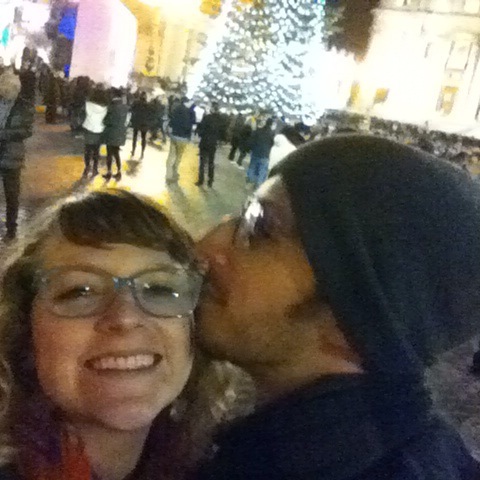 We checked into our apartment near the Vatican and then explored the city looking for anything open late night to eat. 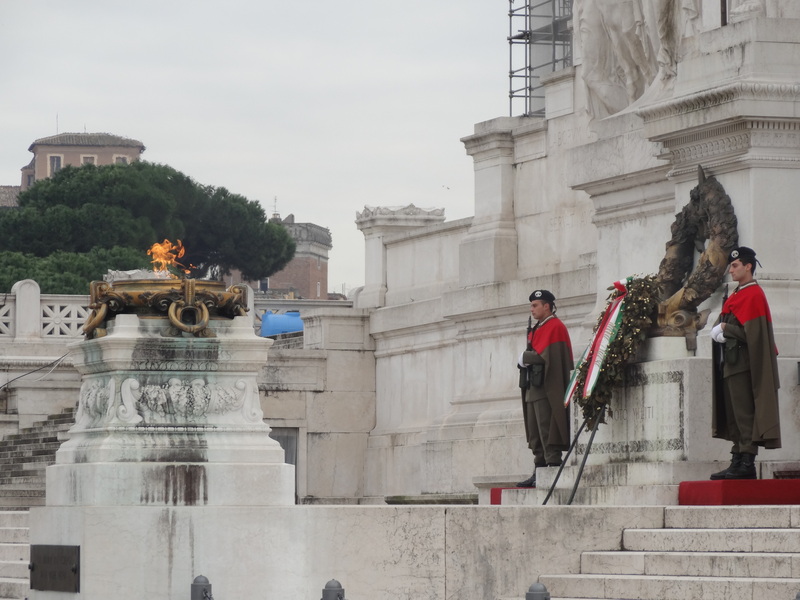 The next day we explored a lot of Rome and hit up many of the famous sites including the Vatican, Pantheon, Colosseum, Palatino, tons of churches, and much more. 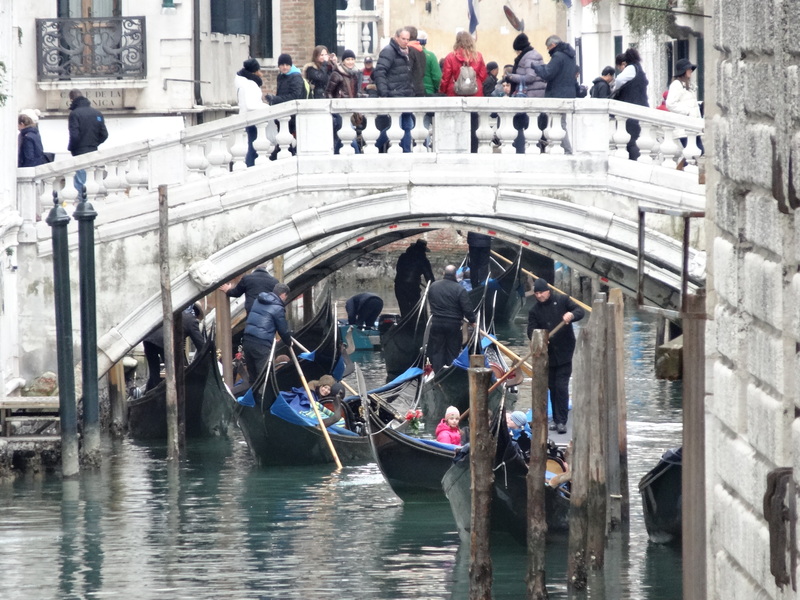 All of the famous sites were full of tourists and locals selling selfie-sticks. These selfie-sticks were everywhere in Italy. So strange. Most of the churches are free to visit, so we tended to check a lot of them out. 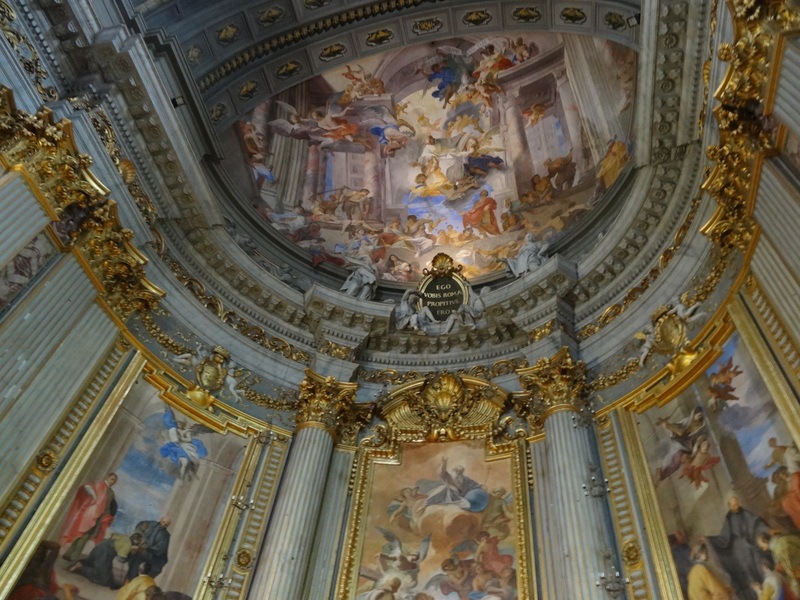 We lit candles for our families and awed at the beautiful work on the ceilings in many of the churches. 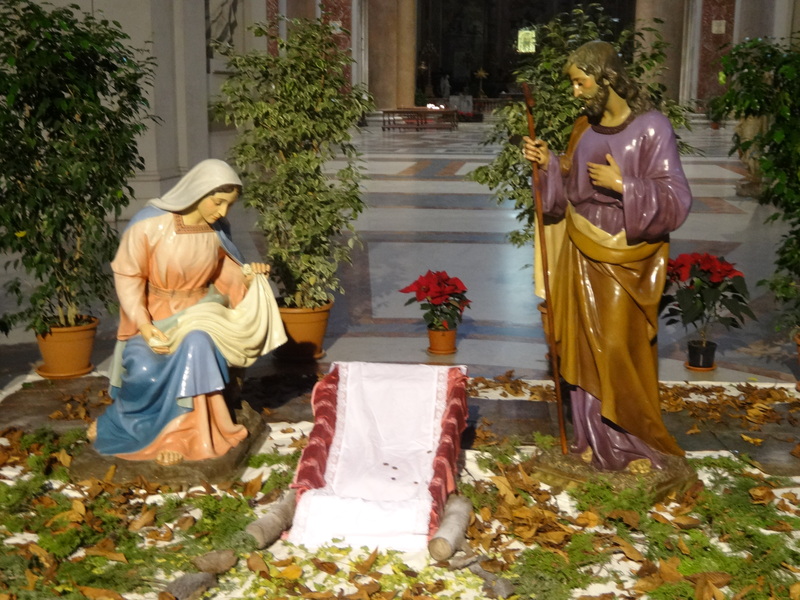 There were many nativity scenes all around Rome. Fun fact: before Christmas they baby Jesus was not included in the scene, but after Christmas the baby was added to all the nativity scenes across the city. After walking all around the city we were utterly exhausted at the end of the day. 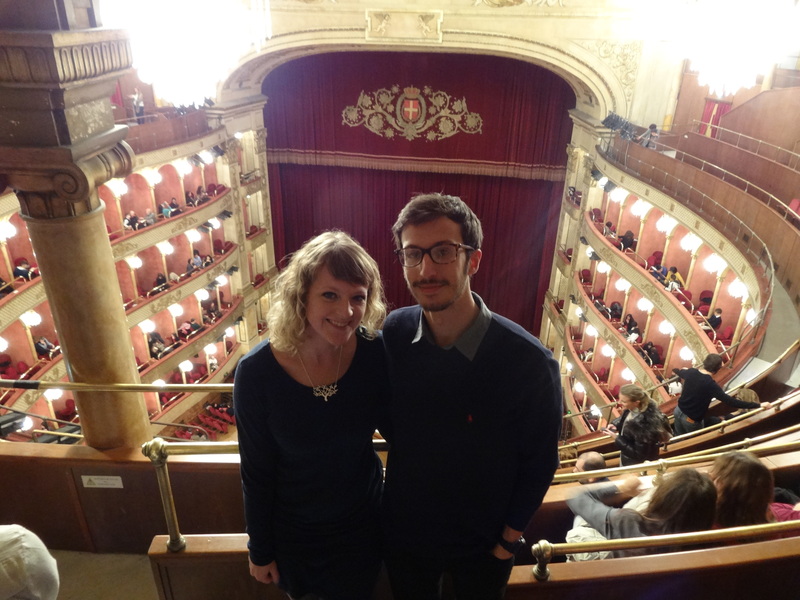 The next day we went to the Nutcracker Ballet at the Teatro Opera House. It was a nice production of the show, but definitely not as impressive as some of the productions of Nutcracker that I have seen in Colorado and on Broadway. 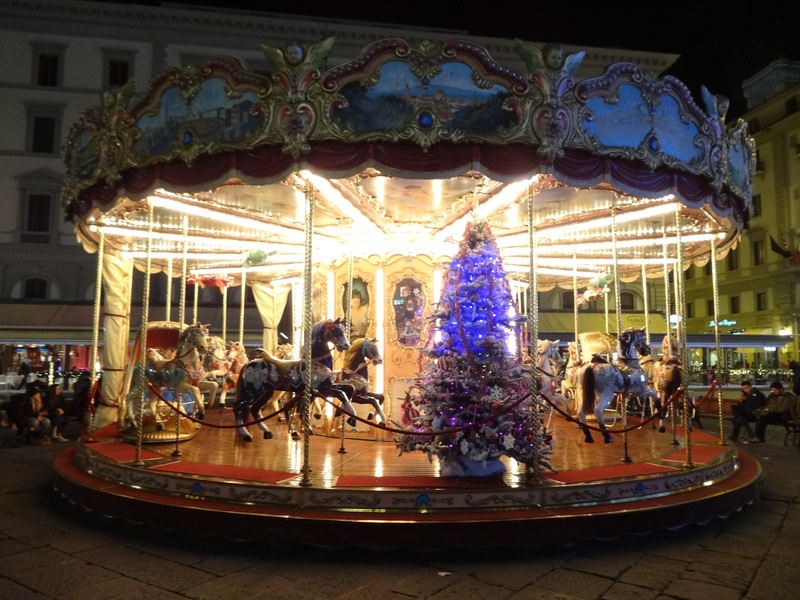 We tried to visit the famous Christmas market, but sadly we realized after that all of the Christmas stands protested the market because the Italian government was only going to allow half as many stands as previous years. 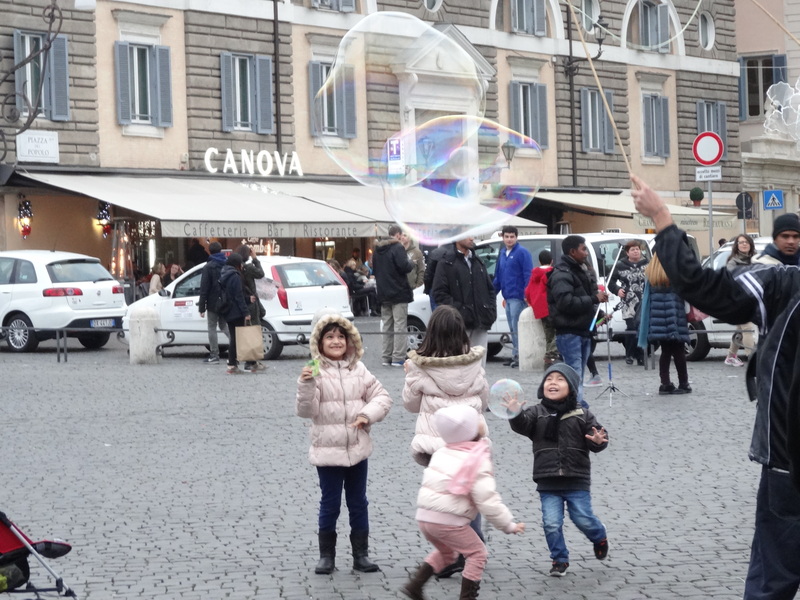 We continued to explore the city and that evening saw the Christmas Eve mass delivered by the Pope in St. Peter’s Square. On Christmas day we went and ventured out into the cities parks and continued to walk around the city. Quinn and I rented a boat and went out on the lake for a bit too. We made Christmas dinner in the apartment and enjoyed a night in together. The next day we left for Florence. We decided to take a BlaBlaCar car share instead of paying the expensive cost of Italian trains. 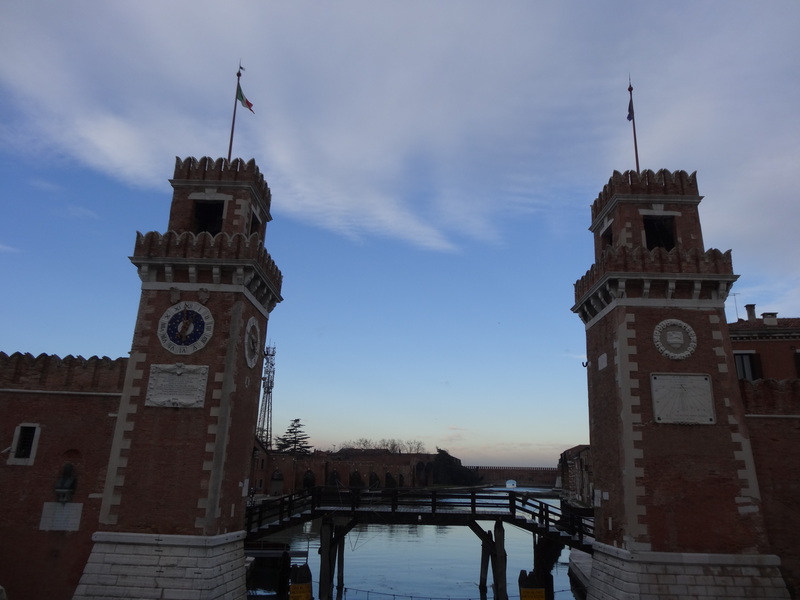 This ended up being a great decision in the end because we met a hospitable Italian couple that was extremely friendly and enjoyable to talk to. They even dropped us off at our apartment in Florence, which was out of the way for them. While trying to find our car share we ended up getting lost in an isolated (somewhat sketchy) part of Rome for several hours, both of us had nearly given up when we finally found the spot to meet our driver with ten minutes to spare. We were super lucky. 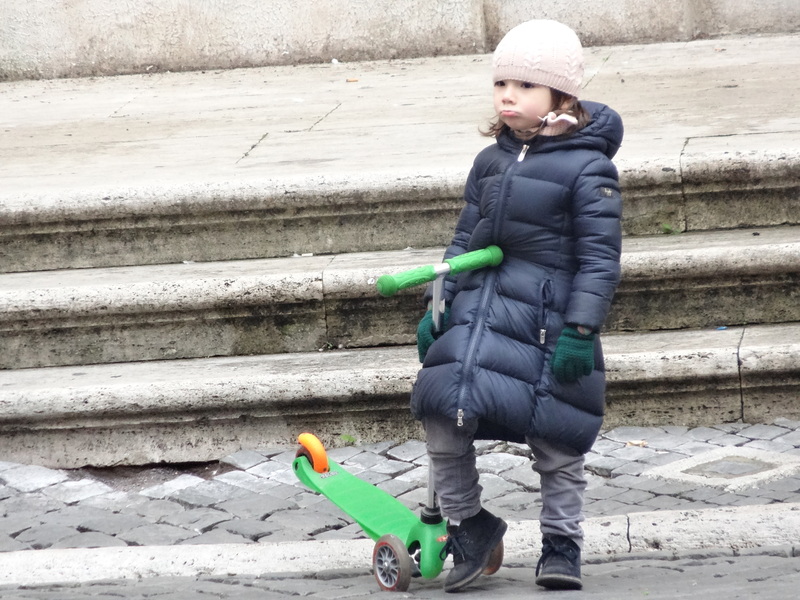 Cute scooter girl in a Roman square. The ceiling of the first church we wandered in. It was definitely breathtaking. Now that would be an interesting job. 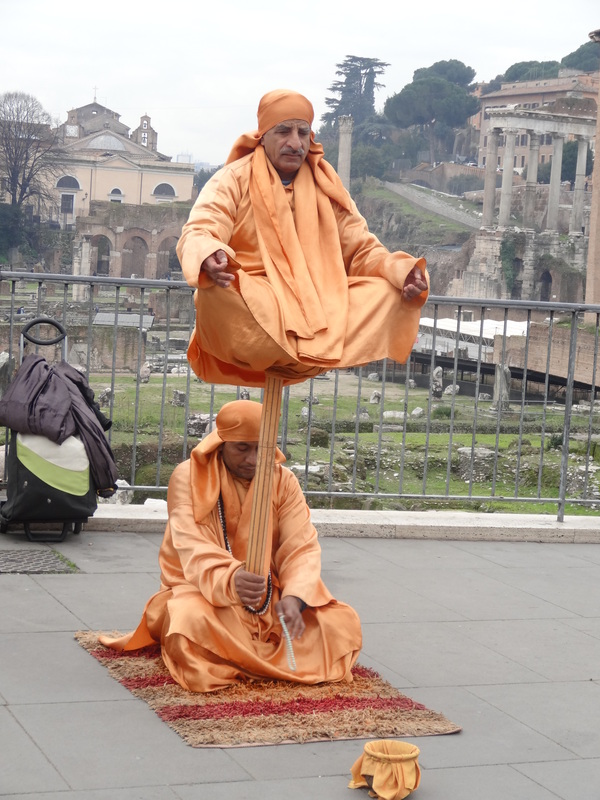 There were tons of street performers all over Rome. Nativity scene before Christmas without baby Jesus. A street art exhibit we randomly came across on the street. These kids are freaking adorable. 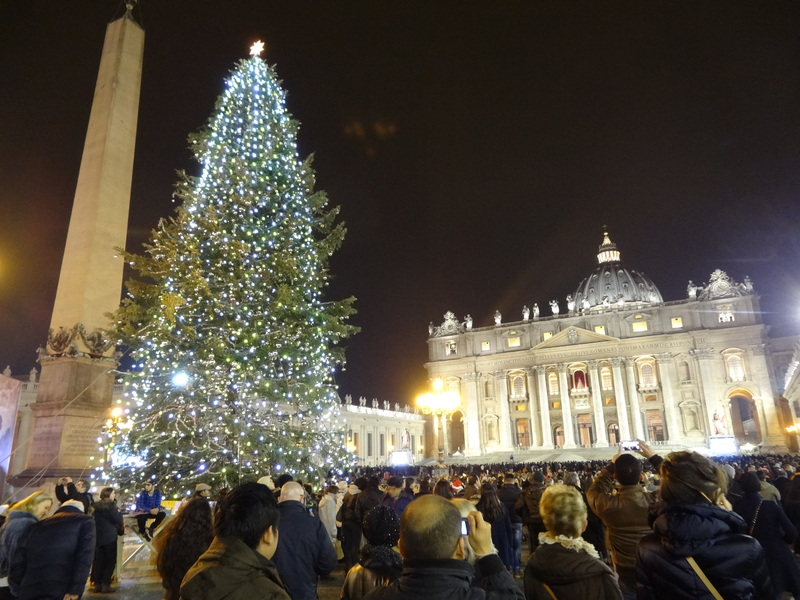 Christmas Eve mass at the Vatican. Baby playing on the playground. 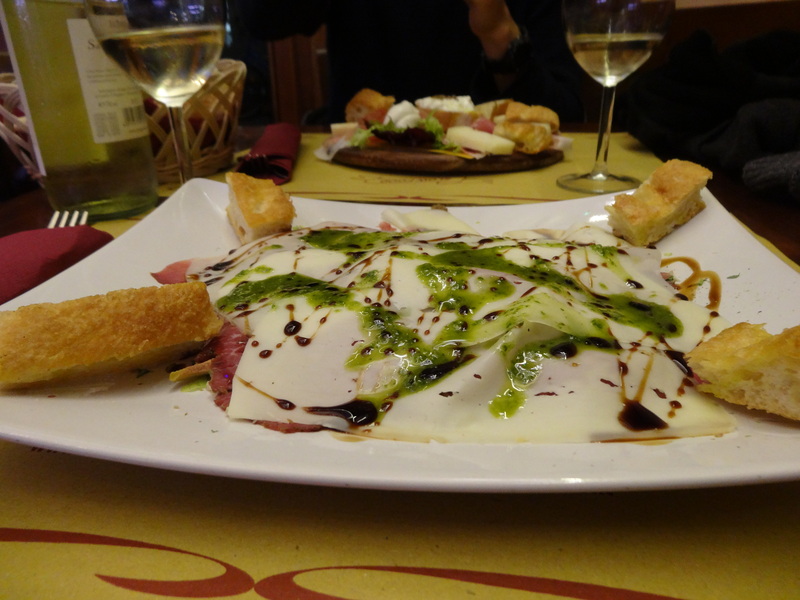 Our time in Florence started out on the right foot with the help of our gracious driver and his wife. They dropped us off at our apartment in the city so we wouldn’t have to spend the evening wandering around Florence trying to find our place. Since we had plenty of extra time we were able to grab a coffee, walk around the beautiful lit up city at night, grab dinner, and then late night drinks. 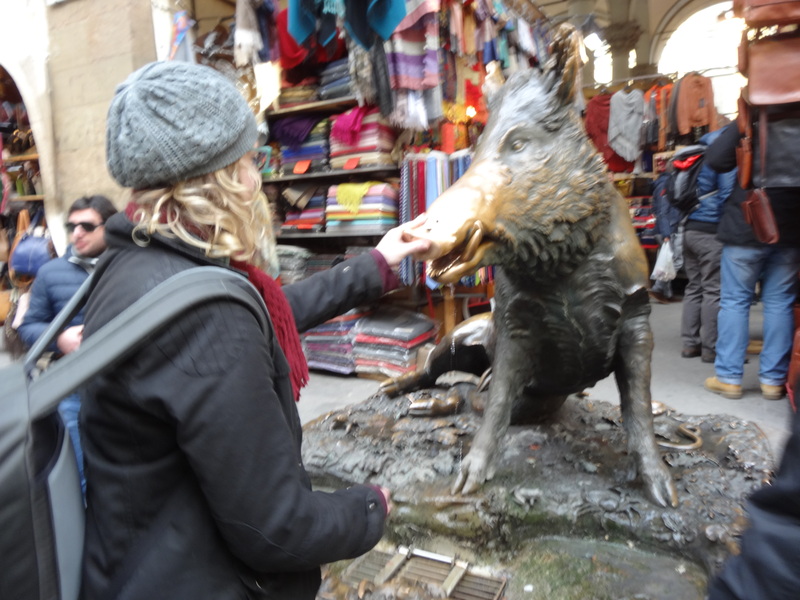 We both immediately fell in love with Florence and enjoyed all the beautiful streets to get lost in. 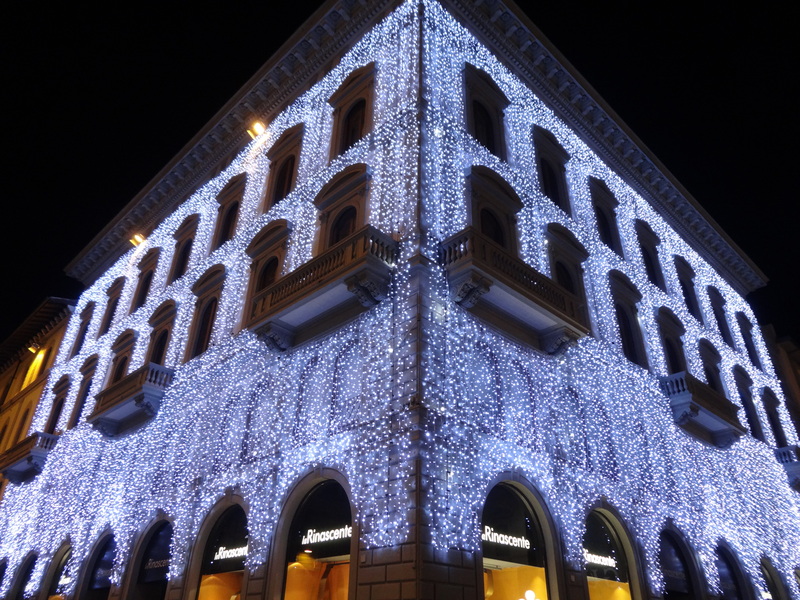 Every street was decorated with bright lights to celebrate Christmas. 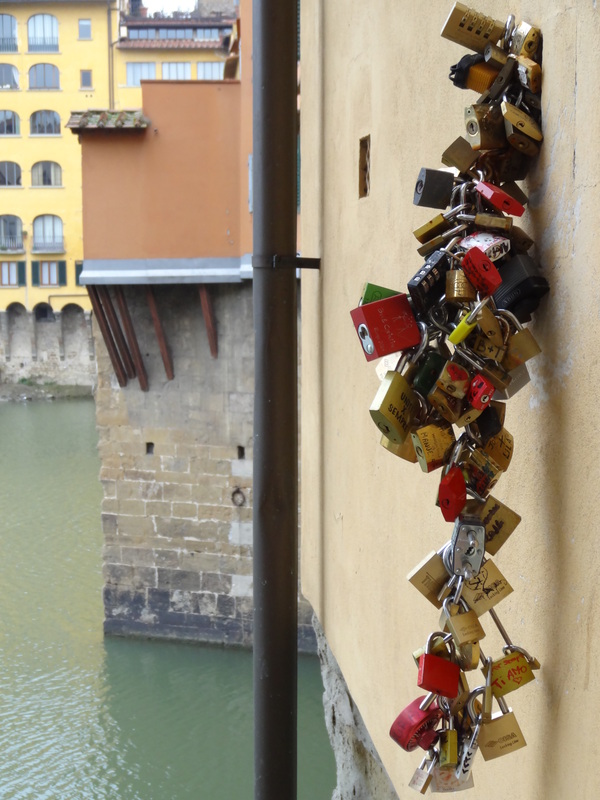 There was also a lot of interesting street art in Florence, which I appreciated. 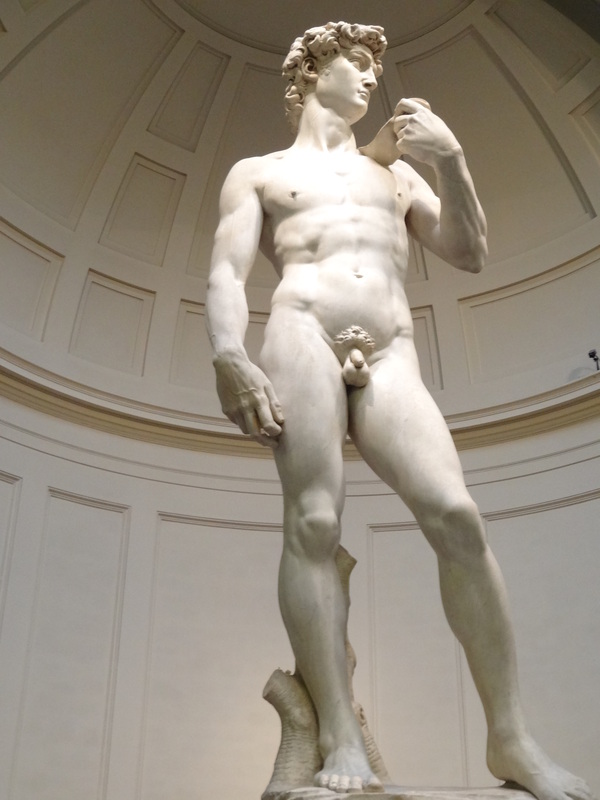 We spent our next day in Florence checking out all the sites and museums. 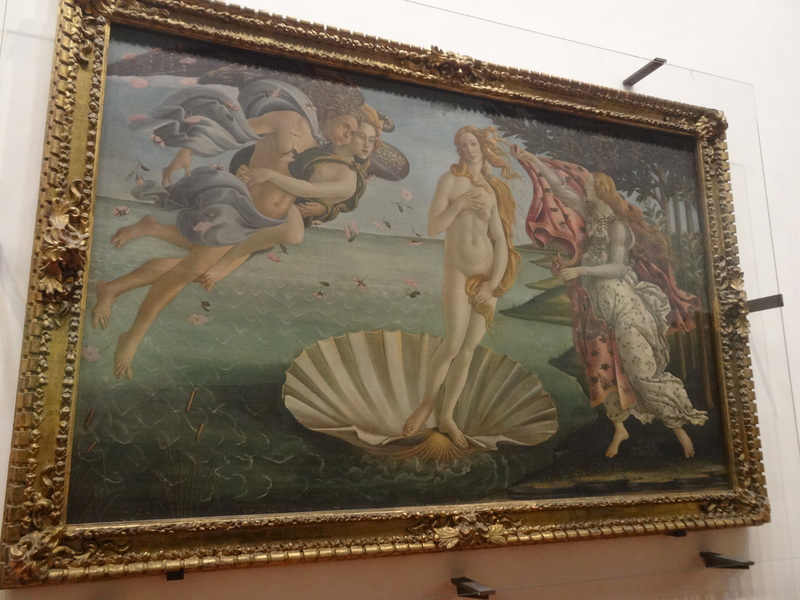 We saw the David and went to the Uffizi (with the recommendation of our BlaBlaCar driver). It ended up raining a bit that day, so I didn’t mind spending the day inside checking out all the art in the museums. That evening we splurged and had our “fancy” meal for the trip. It was a three-course meal at a small, quaint little restaurant near the center. 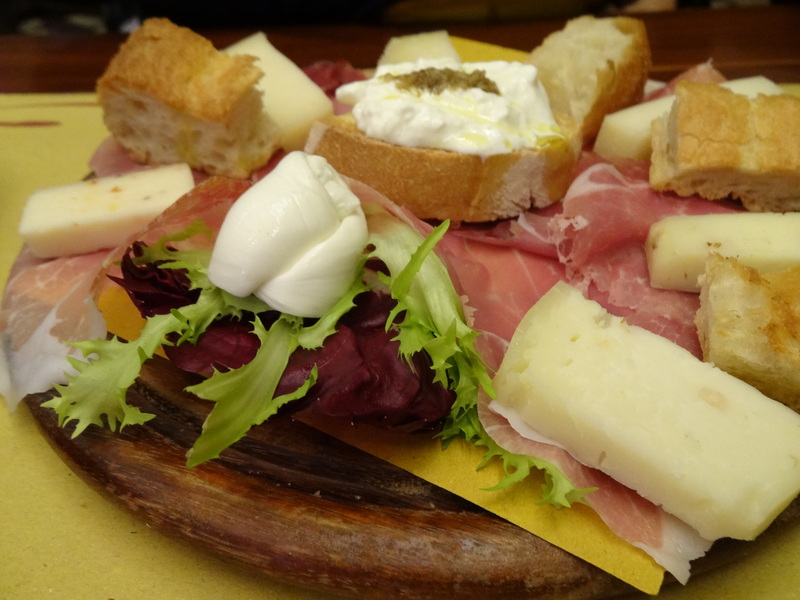 The meal included wine, various meats, cheeses, pasta, salad, and dessert. It was superb and delicious, definitely our favorite meal of the trip. 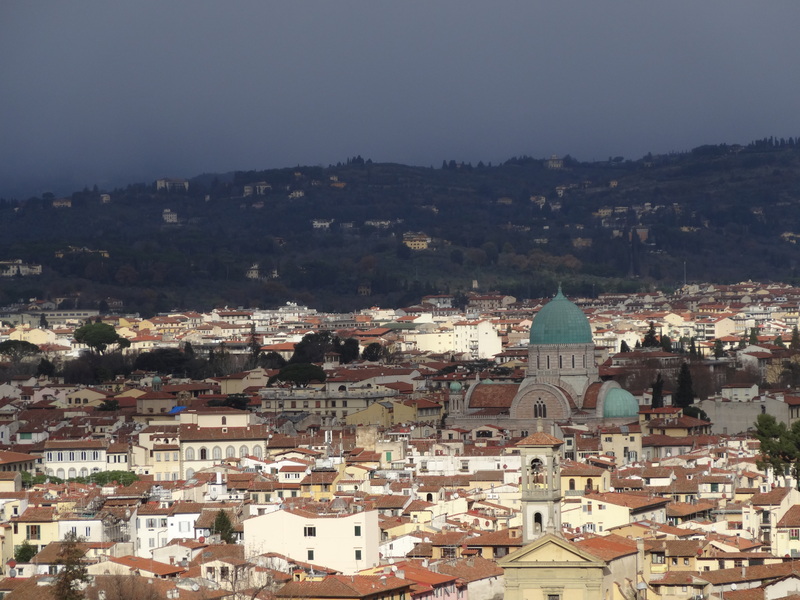 Sadly we did not plan as much time in Florence as we would have liked, so the next day we were on our way to Venice. 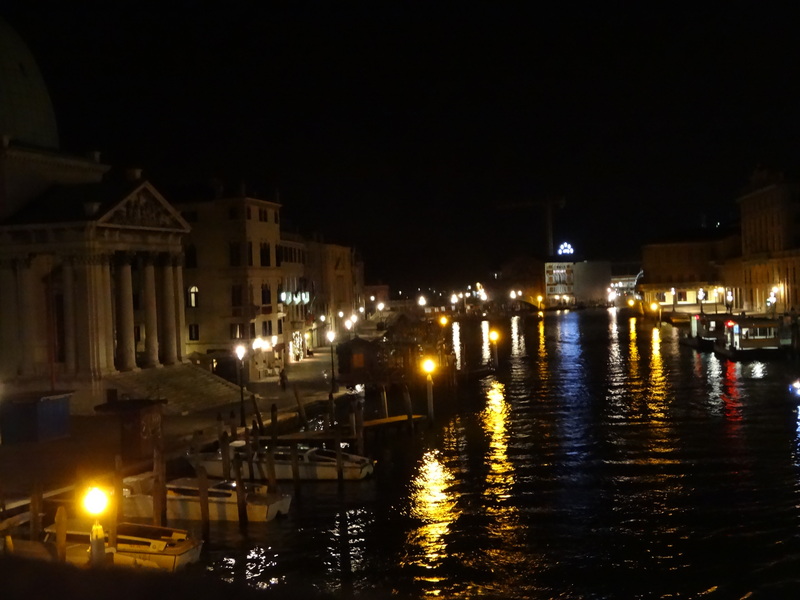 We didn’t want to bother with trying to figure out the car share thing again, so we took the train to Venice. 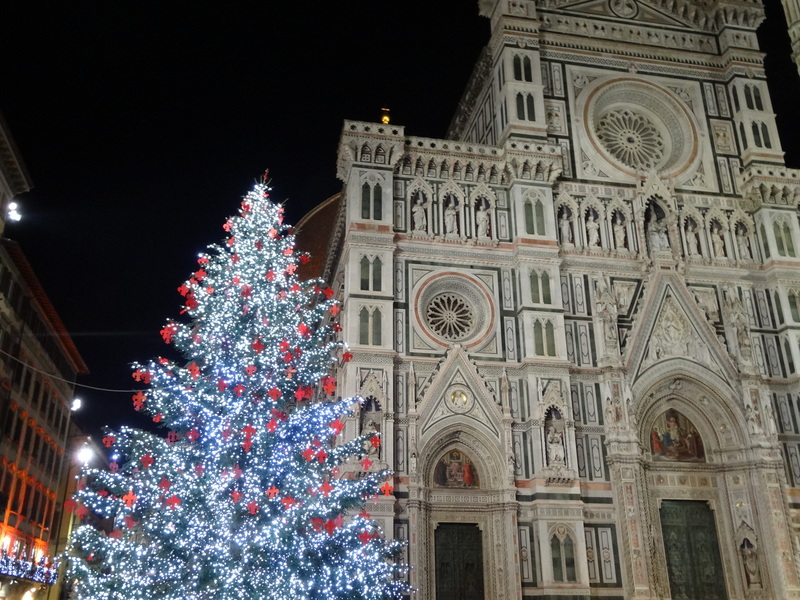 Stumbled upon this beauty in Florence our first night. 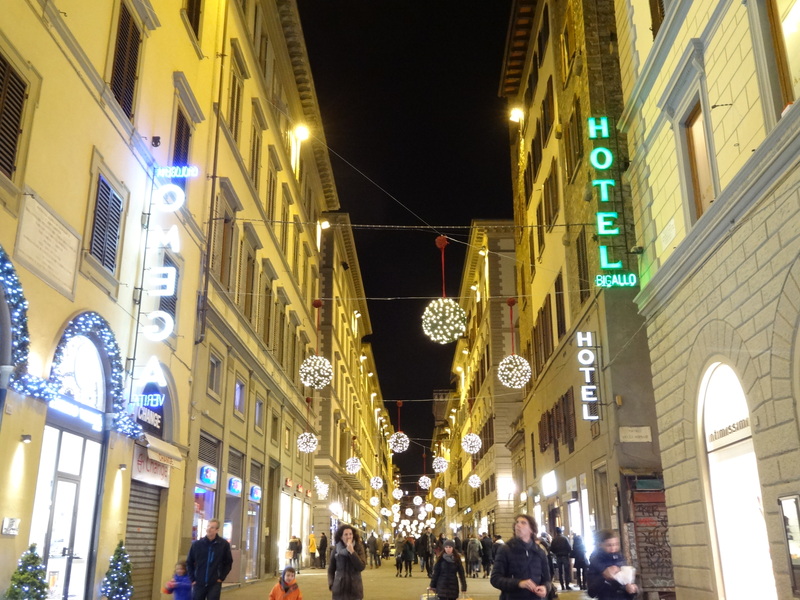 Almost every street in Florence was this beautiful. 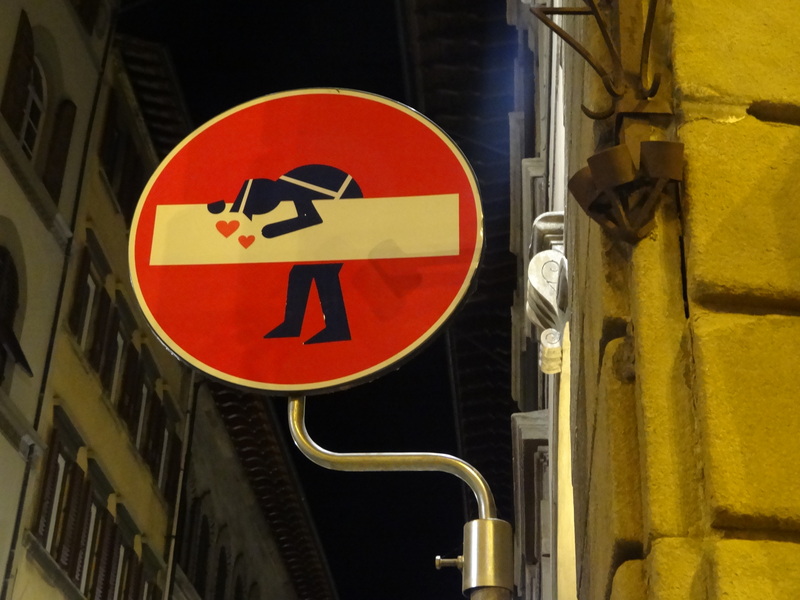 Florence street art. A lot of the signs were done up in some random fashion. Our fancy meal full of delicious eats. 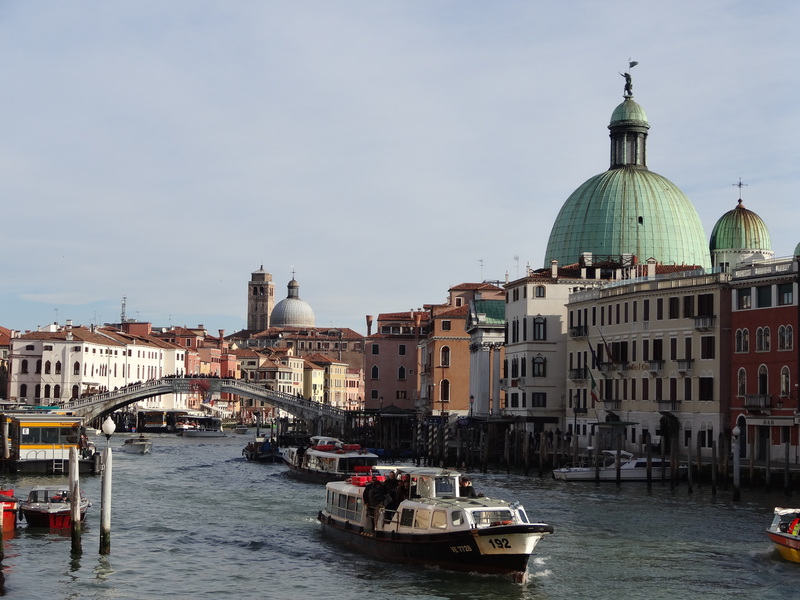 Venice was a beautiful city full of interesting architecture. 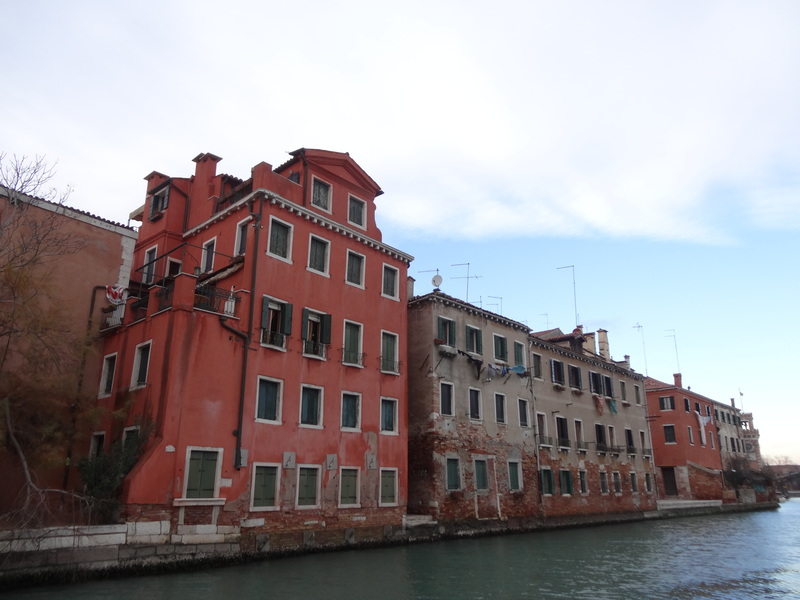 Our apartment was located just outside the islands of Venice, but we were just a short fifteen-minute bus ride away. 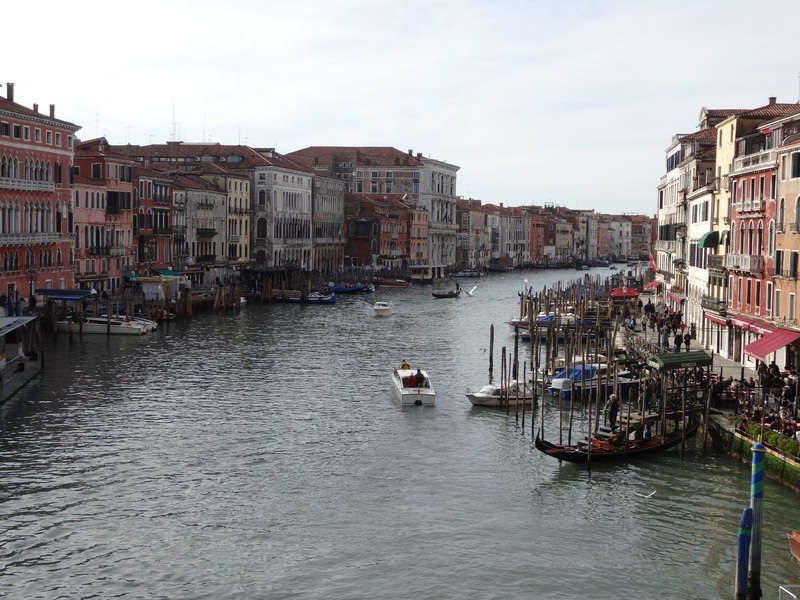 We spent our day in Venice getting lost in the small alleyways located across the city and taking a bunch of photos. 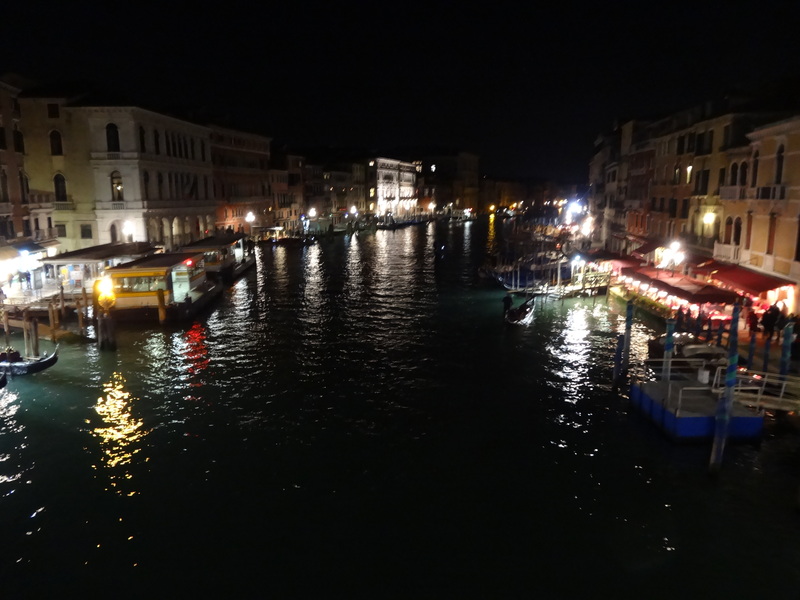 Some of Quinn’s best shots came from our time in Venice, which is ironic because Venice was probably our least favorite city. The city is full of pigeons (it reminded me of the city where I live in Albania, which is also full of pigeons). The first night we enjoyed a nice seafood dinner and the next day we had pizza and beers at a local pub. It was the perfect end to our vacation together.